Super Smash Bros. for 3DS and Wii U is here, in time for Christmas. It is time to get really hyped for what is clearly shaped out to be one of the biggest game releases of the year, and that’s an understatement. Anyway, in honor of Smash, I’ve decided to make a list of theme songs for each and every playable character in the game, because I’m just crazy like that. That’s right, fifty three songs for each character (condensing the Mii Fighters as a single entry and adding the confirmed DLC characters). I pretty much guarantee that the vast majority of these songs are already in the game, especially the Wii U version. But I’m just doing this for fun. So, I hope all you might enjoy this. Oh, and there will be spoilers, you have been warned. This particular rendition of the Mario theme was featured in Super Mario Galaxy in Toy Time Galaxy; an awesome throwback in an awesome game. Aside from this one, there are many, many renditions of this theme out there so if you want to hear them you can check them out. Note how Luigi is humming the main motif himself. Given the context of the game, it’s most likely that he’s doing it to keep himself calm which fits his character to a tee. He’s somewhat cowardly to begin with and on top of that he has a crippling fear of ghosts. But he’s still willing to face those ghosts (including archenemy King Boo) to save his captured brother so that speaks volumes for him in my opinion. 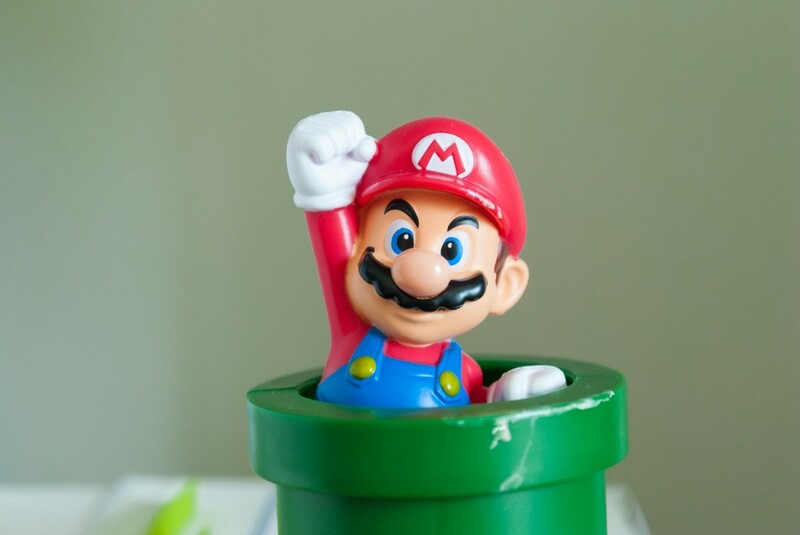 As I stated earlier, Mario was initially conceived to be a sort of video game everyman, the character that would star in multiple Nintendo video games regardless of genre. As such, who his girlfriend would be was not set in stone. In the original game Mario debuted in, Donkey Kong, the damsel-in-distress was a lady who was eventually given the name Pauline. In Super Mario Land, Gunpei Yokoi created a new damsel-in-distress, Princess Daisy of Sarasaland. 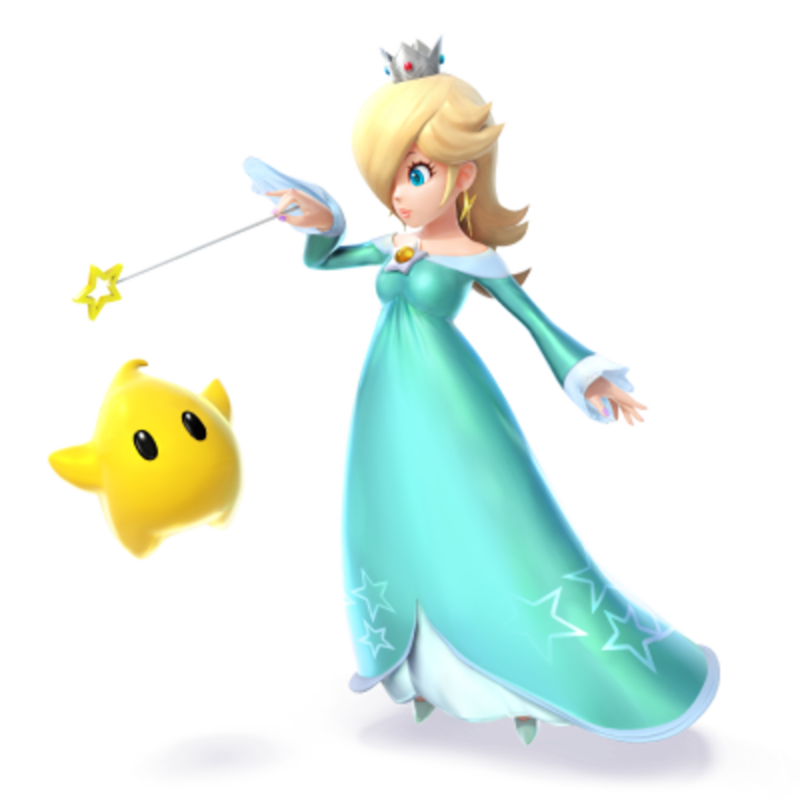 However, the most-famous by far, the one that would become the canonical, one-true-love and significant other of Mario would prove to be Princess Peach Toadstool of the Mushroom Kingdom. Daisy would be paired up with Luigi while Pauline is pretty much established as a close friend of Mario. 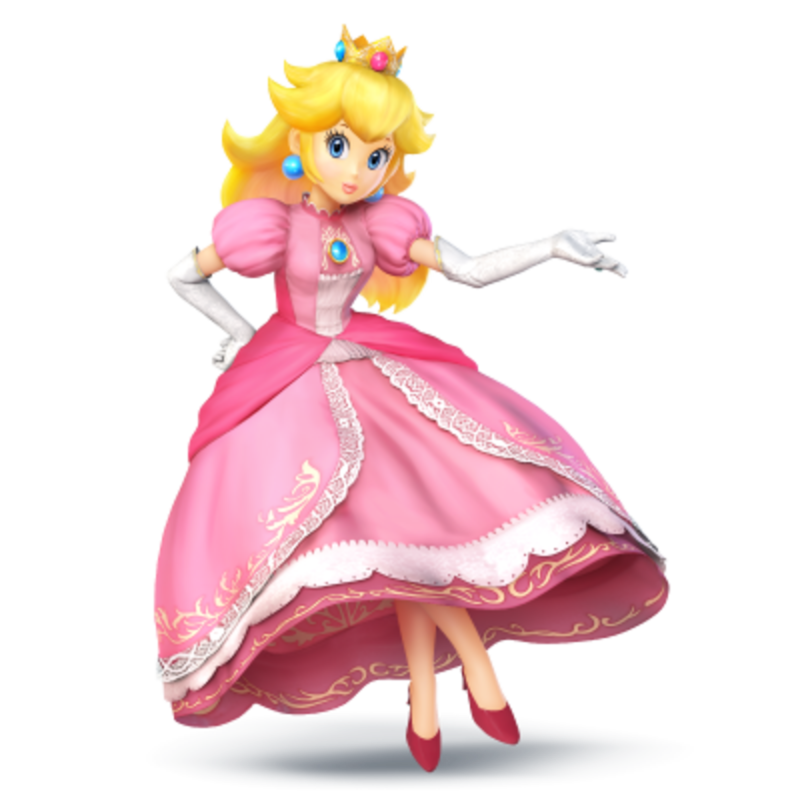 Most likely, when Peach made her debut as the damsel-in-distress in Super Mario Bros. she was just supposed to be just another in a line of heroines that would star alongside Mario but with the runaway success of Super Mario Bros. along with the many successful sequels it received, Peach has pretty much been elevated to the status of Mario’s sweetheart. Anyway, enough of that history lesson, let’s move on. While there have been several themes for Peach over the years, for this particular list I’m using “Peach’s Castle”, a theme that first appeared in Super Mario 64. Of course, I never actually said that the Super Mario 64 version of the song would be the one that I would use. This particular rendition of the song was used in Mario Tennis Open for the Nintendo 3DS. In the same way that Super Mario Bros. introduced Princess Peach who would go on to become Mario’s sweetheart, the game also introduced an antagonist that would go on to become Mario’s eternal archenemy as well as the most famous villain in gaming: King Bowser Koopa of the Koopa Troop. 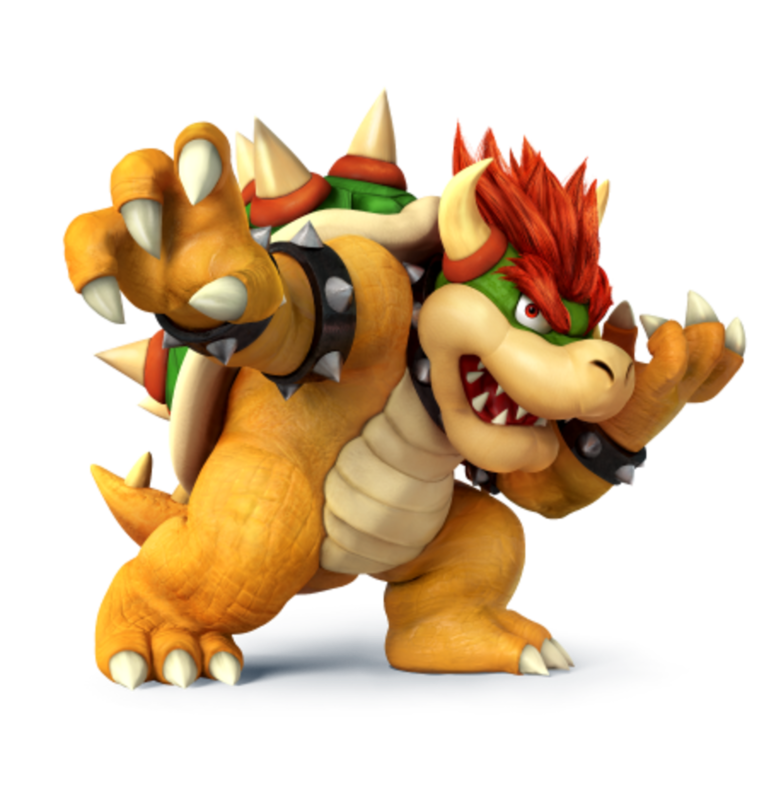 I would say that if there’s one thing that’s particularly significant about Bowser is despite years of more comedic portrayals, the occasional team up with Mario against a common enemy, and constant appearances alongside the good guys in spinoff games like the Mariokart series or the Mario sports titles, Bowser can still rise to the occasion and become a truly menacing and threatening villain in games where he is still the main antagonist. I feel that the song that I’ve chosen for him truly illustrates that point. While this particular version was used for Super Mario Galaxy, the song first appeared in Super Mario 64. At that time, Bowser was already often being portrayed in a comical, seemingly less threatening light. And then, this song starts playing on that road to confront Bowser and players truly understood that even after all that go-karting or that team up in Super Mario RPG, Bowser was still the ultimate archenemy of Mario and a truly menacing villain. That is a huge part of what makes Bowser such an iconic villain. Yeah, I know “Comet Observatory” might’ve fit Rosalina a bit more but the thing is, Rosalina and Luma as a whole represents the Mario Galaxy series. And frankly, as much as I like “Comet Observatory”, I’m going with my absolute favorite song in the Galaxy series for their theme. Hence, “Gusty Garden Galaxy”. Seriously, this song is just so freakin’ awesome: how could I not choose it? 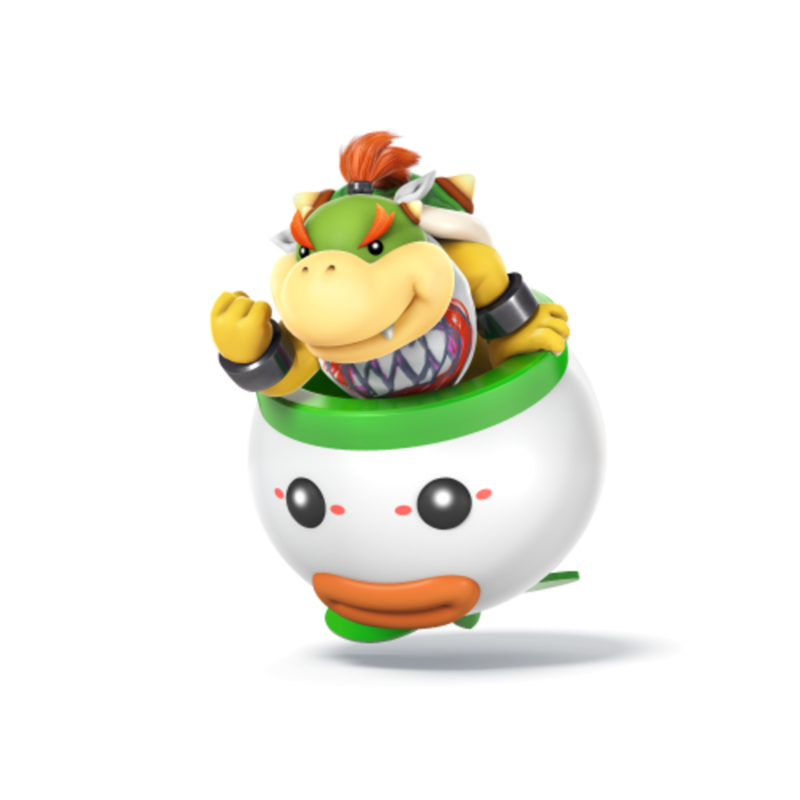 Now Bowser Jr. does in fact have his own personal theme song. However, it’s the Airship theme that’s the song that represents him here. Why? Because it’s not just Bowser Jr. who’s new here to Smash Bros.; it’s all of the Koopalings, Bowser’s original kids from the old days. That’s right, Larry, Morton, Wendy, Iggy, Roy, Lemmy, and Ludwig are all alternate costumes for Junior, bringing all of Bowser’s kids together in a single package. Mind you, Shigeru Miyamoto has stated in a recent interview that in the current Mario canon, the Koopalings aren’t actually Bowser’s kids. The view I like to hold is that Junior is Bowser’s only blood related son while the Koopalings are adopted. Anyway, the Airship theme is perfect here since it first appeared essentially as the Koopalings’ stage theme in Super Mario Bros. 3 and then this particular version was used in Super Mario Galaxy as Junior’s stage theme. It’s perfect. For the record, in case you didn’t realize it, those are Yoshis singing that song. 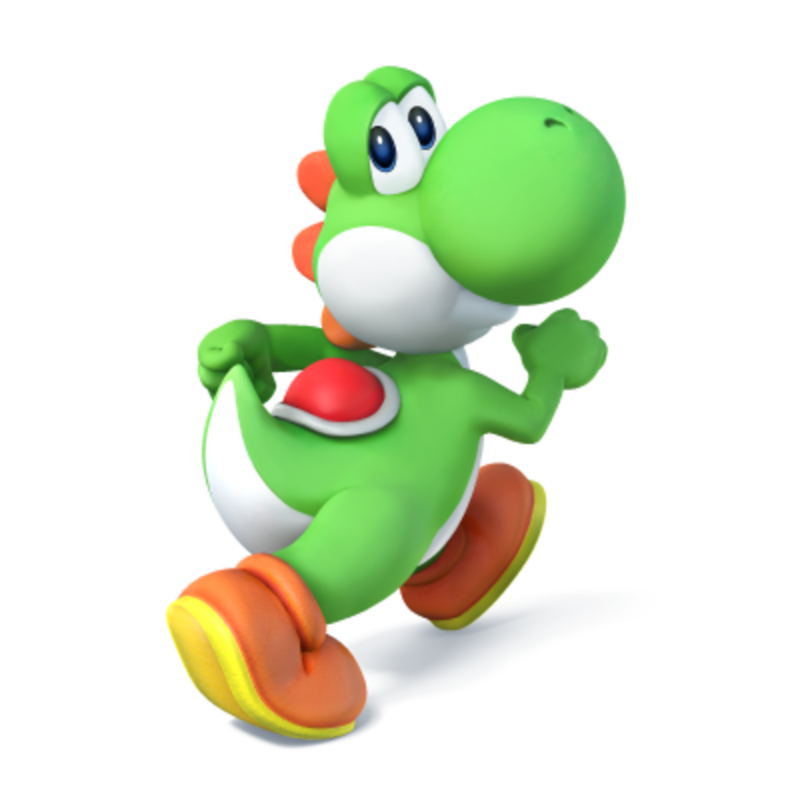 Yeah, “Yoshi” is both the name of the individual main green Yoshi as well as this species of dinosaur as a whole. 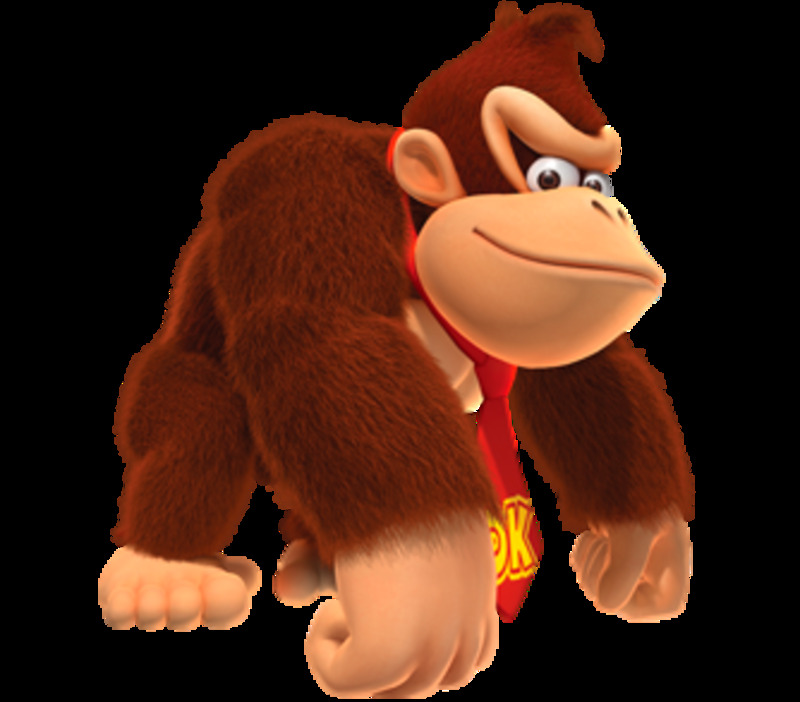 While he’s always stated as having debuted in the 1981 arcade hit Donkey Kong alongside Mario, technically that wasn’t actually the current Donkey Kong. It was Cranky Kong, the current Donkey Kong’s father. Or is it grandfather? 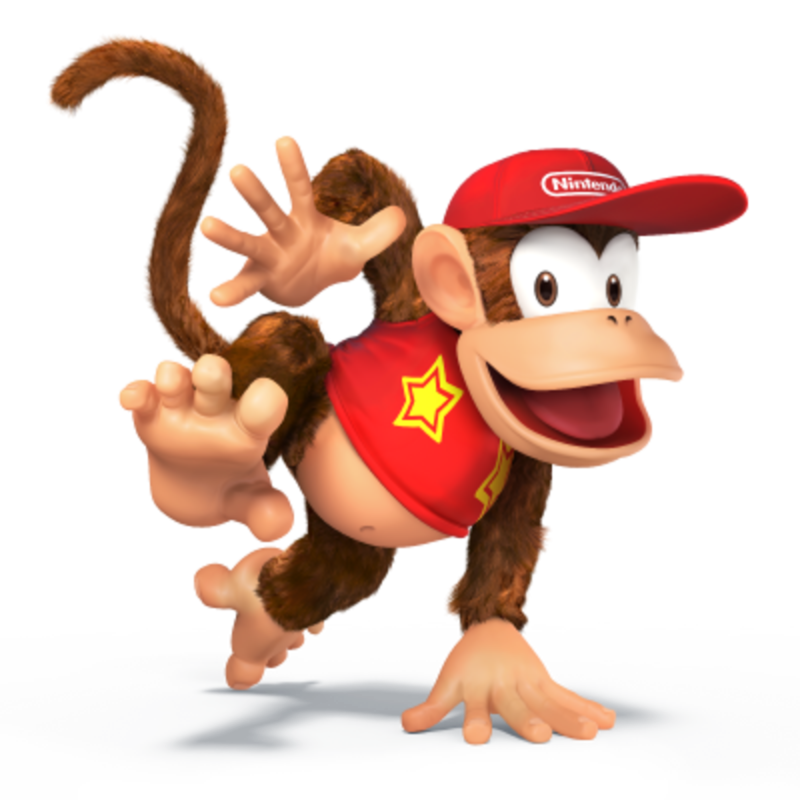 Seriously, Nintendo keeps going back and forth on whether the current Donkey Kong is Cranky’s son (meaning he’s the original Donkey Kong Jr. grown up) or grandson (making him Donkey Kong Jr.’s son). 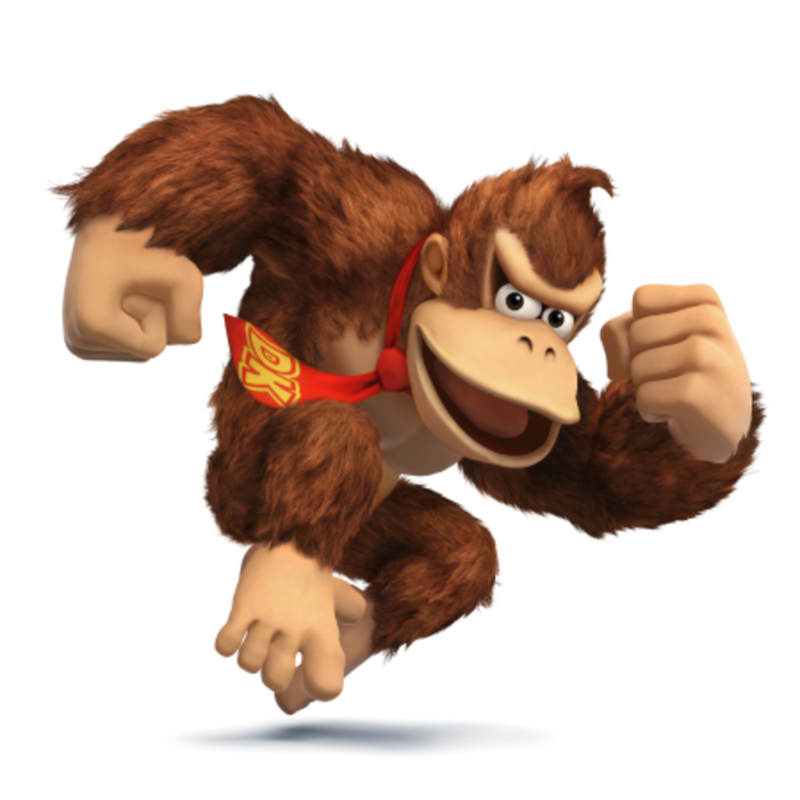 Nintendo’s current stance seems to be that he’s Cranky’s grandson, but I personally like thinking that the current Donkey Kong is in fact DK Jr. all grown up. Anyway, while a version of Donkey Kong has been around since the early 80s, the current Donkey Kong first came into prominence in Donkey Kong Country. Naturally, I say his theme song should come from that game. Mind you, this version is the one from Donkey Kong Country Returns Rareware really delivered a gem with Donkey Kong Country. 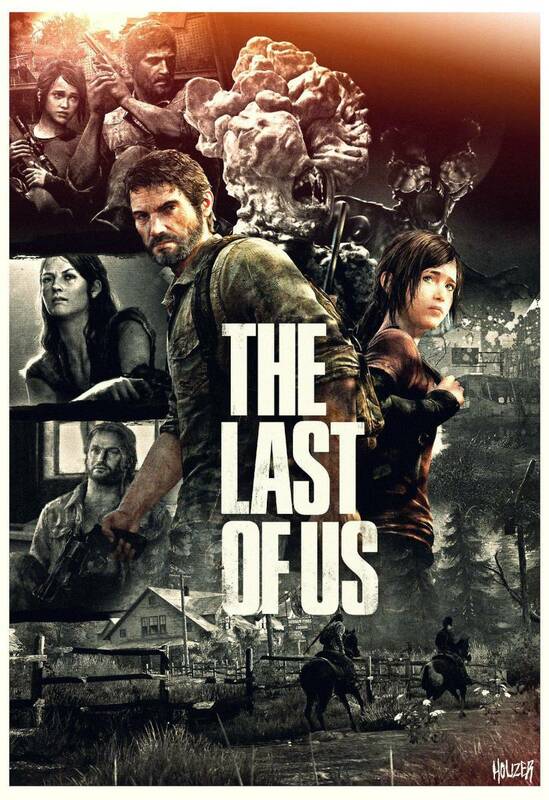 And of course, one of the things that made this game great is the amazing soundtrack composed by David Wise. There are a lot of great tracks in the game but “Jungle Groove” simply fits DK perfectly. Naturally this is the song for him. Well OK, this is the version from Donkey Kong Country: Tropical Freeze, the most recent game in the franchise, but it just serves to show how awesome this track is having been brought back for this game. It was even in Super Smash Bros. Brawl under the name “Bramble Blast”. Talk about a spectacular piece of music. Wario Ware, Inc.: Mega Party Game$ OST - WarioWare! In the Wario Ware games, Wario creates a game company for short mini games. 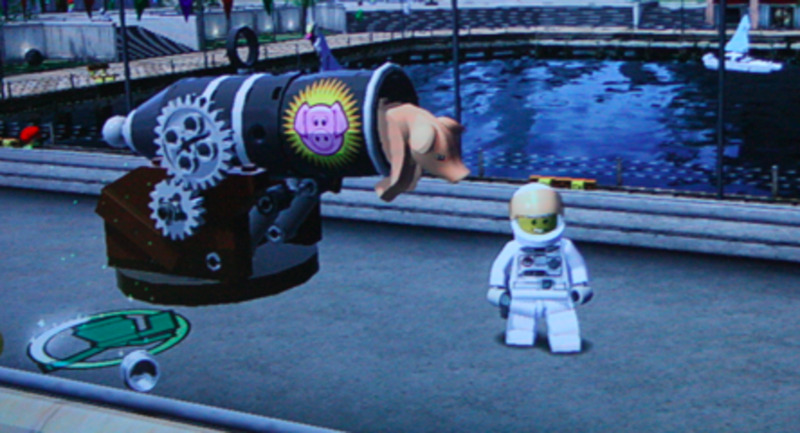 These mini games constitute the bulk of the gameplay. 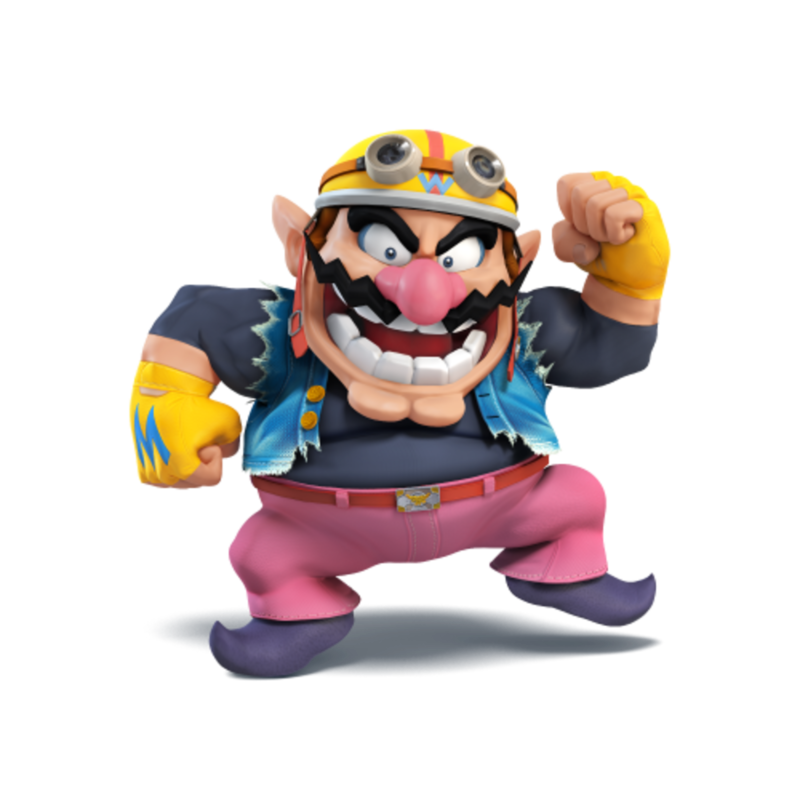 Anyway, it is in the Wario Ware games where the majority of Wario’s supporting cast has been established and it is in these games that Wario has really been fleshed out as a character. Man, it is pretty much no wonder why when Wario made his Smash debut in Super Smash Bros. Brawl, it was as his Wario Ware version. 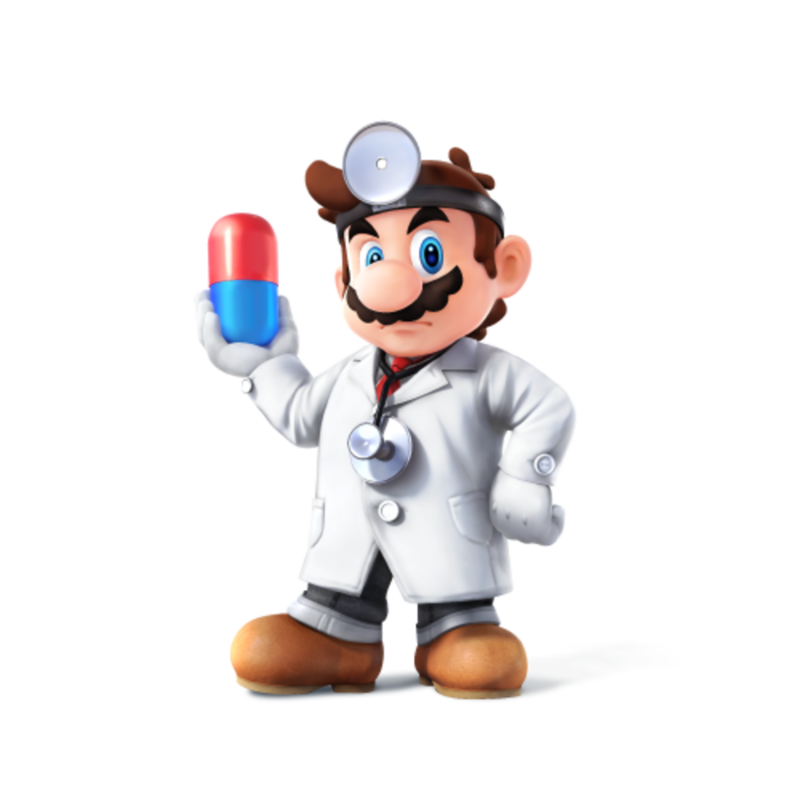 Anyway, when Mario donned the white lab coat and stethoscope and brought in Peach as a nurse, his primary role was to combat a trio of colored viruses with various pills. 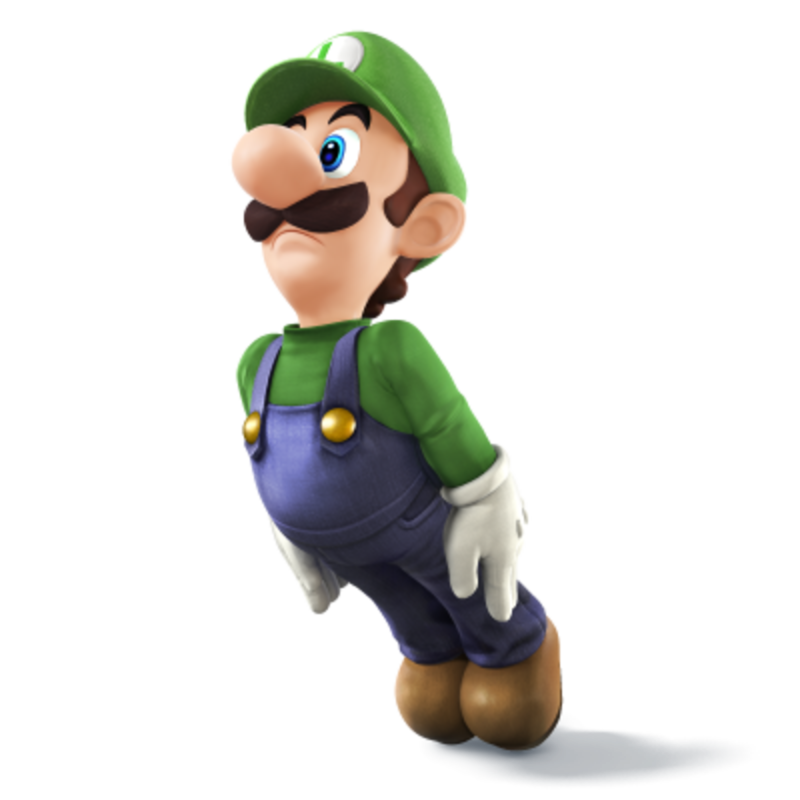 Luigi wouldn’t get his chance to be a doctor until the “Year of Luigi” but get his chance he did. Now, in Smash Bros. Dr. Mario was playable in Melee, cut in Brawl, and brought back for 3DS/Wii U. Armed with those pills, you can bet that the good doctor is ready for anything. Aside from Mario’s theme, featured at the beginning of this list, this theme is perhaps the most recognizable of all of Koji Kondo’s music. This theme is an absolute masterpiece and in the early days of the NES, it truly established The Legend of Zelda as an epic. This isn’t just some arbitrary decision. If you listen carefully, you might realize that the main motif of the “Ballad of the Goddess” is in fact the notes of “Zelda’s Lullaby” in reverse. The composers of Skyward Sword took Koji Kondo’s iconic tune, reversed the notes and made their own awesome tune out of it (those mad geniuses that they are). It also works in-universe as well since Skyward Sword is the first game in the timeline. The idea is that essentially, over the centuries the Hyrule Royal Family passed down the “Ballad of the Goddess” until it developed into “Zelda’s Lullaby” over time. This is brilliant! 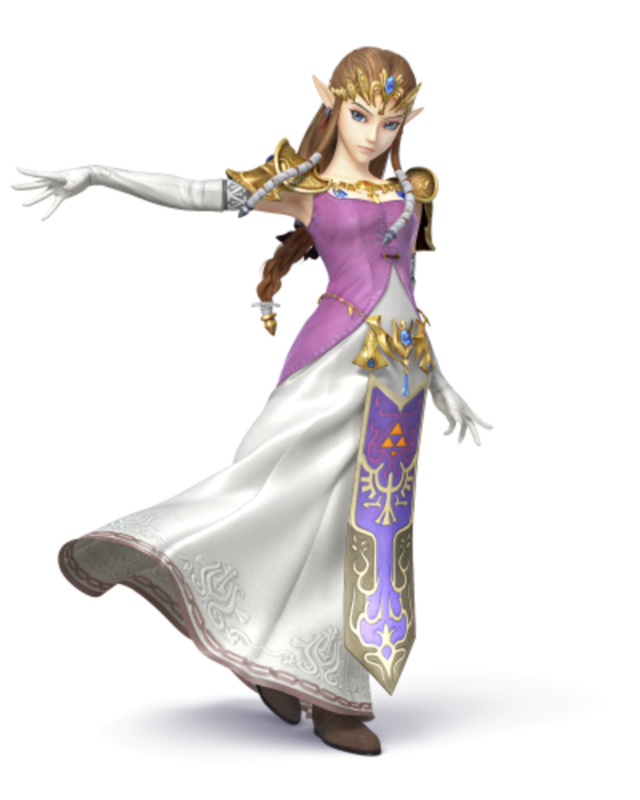 Let’s get the spoiler out of the way: Sheik is Zelda in disguise. To be a bit more specific, in Ocarina of Time when Ganondorf conquered all of Hyrule, Zelda disguised herself as a man of the Sheikah tribe called “Sheik” and went into hiding for seven years. Now, just so you know when Zelda disguises herself as Sheik, she merely disguises herself as a man; she doesn’t physically transform into one. But for a long time (and even now on occasion) there were many people who believed that this was the case despite Nintendo stating that it wasn’t. 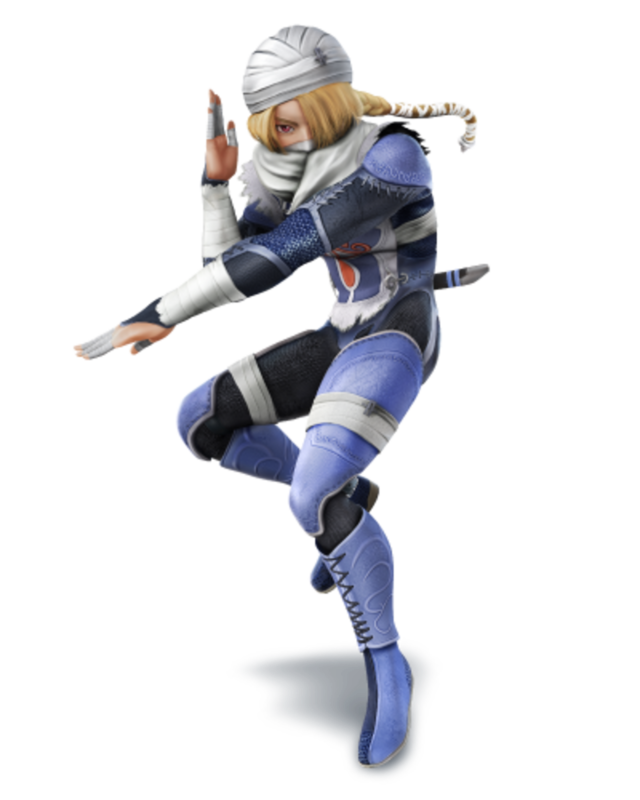 The fact that in Ocarina of Time (and by extension Super Smash Bros. Melee), Sheik looks more masculine than Link does probably didn’t help. This is probably the reason why in Super Smash Bros. Brawl and now 3DS/Wii U, Sheik’s design, based on discarded designs from Twilight Princess, is a lot more androgynous. And of course in Hyrule Warriors Sheik is rather blatantly a woman. Back on topic, in Ocarina of Time Sheik teaches Link several warp songs on her harp which he can play on the ocarina but… those songs… I’m not so sure about them in Smash… ah, screw it! I’m just going with “Song of Storms”! Yes, yes I know that in Ocarina of Time “Song of Storms” is a song that has nothing to do with Sheik. Link learns it from the Windmill man in Kakariko Village as a song that can summon rain. And of course in Majora’s Mask we learn that the song originated in Termina from the Composer Brothers further distancing it from Sheik. But I don’t care! Sheik first appeared in this disguise in Ocarina of Time so I wanted a song from that game to represent her and “Song of Storms” is fits that role perfectly. 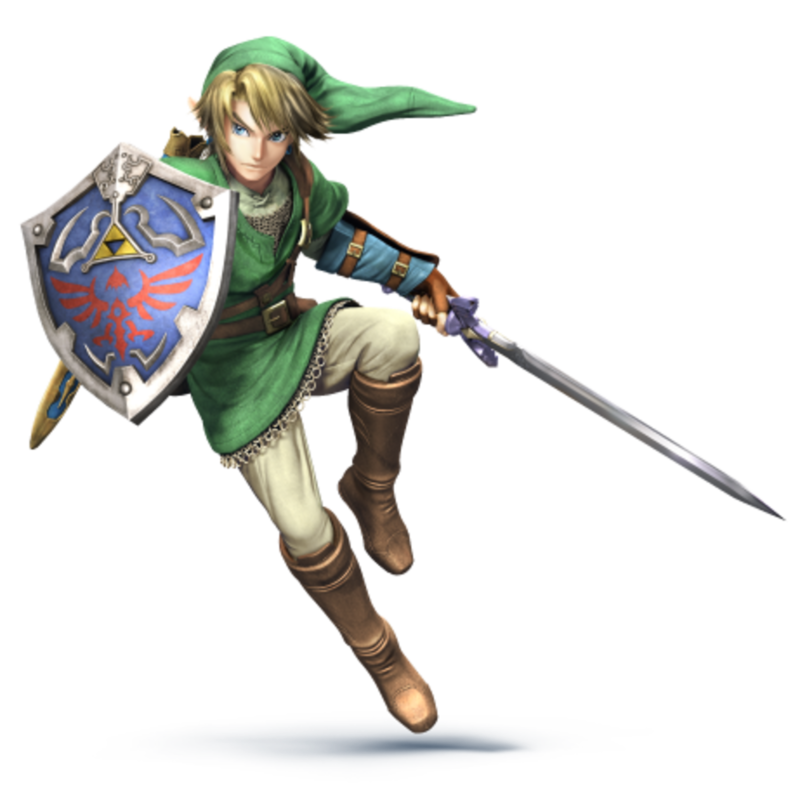 So there… wait, “Song of Storms” is used as one of Sheik’s primary attacks in Hyrule Warriors? All right, my choice has been justified! Ah yes, the incarnation of hatred of the demon king Demise, Ganondorf is the ultimate villain of the Zelda franchise and is regarded by many as the premiere villain of Nintendo and perhaps of video gaming in general. He first appeared as Ganon in the original The Legend of Zelda but it was in Ocarina of Time where he first appeared in his human form of Ganondorf. Thanks to the Triforce, he is destined to face Link and Zelda throughout all times and timelines as the incarnation of Demise’s hatred but unlike those two, Ganondorf/Ganon has been (mostly) the same one ever since Ocarina of Time, though still following different fates on the three timelines. 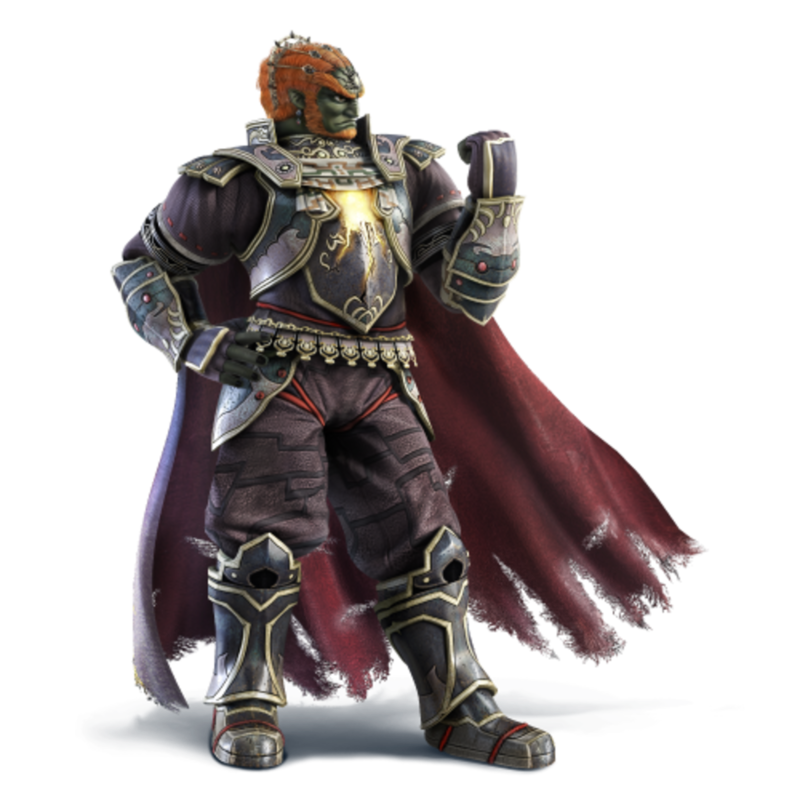 Anyway, like Zelda, Ganondorf has his own motif that first appeared in A Link to the Past, but it is a little lacking for a Smash Bros. song. Thankfully, there is an alternative variation. This song is a major reworking of Ganondorf’s theme and is used in the final boss fight between Link and Ganondorf in Twilight Princess. I personally believe it is one of the most epic swordfights in all of video gaming history. That heavy percussion, that pulse-pounding beat, and of course the extensive use of Ganondorf’s motif, this is the perfect song for such an intense final boss battle. In my opinion anyway. However, it was a tossup between this and “Dragon Roost Island” or "The Great Sea" from Wind Waker. 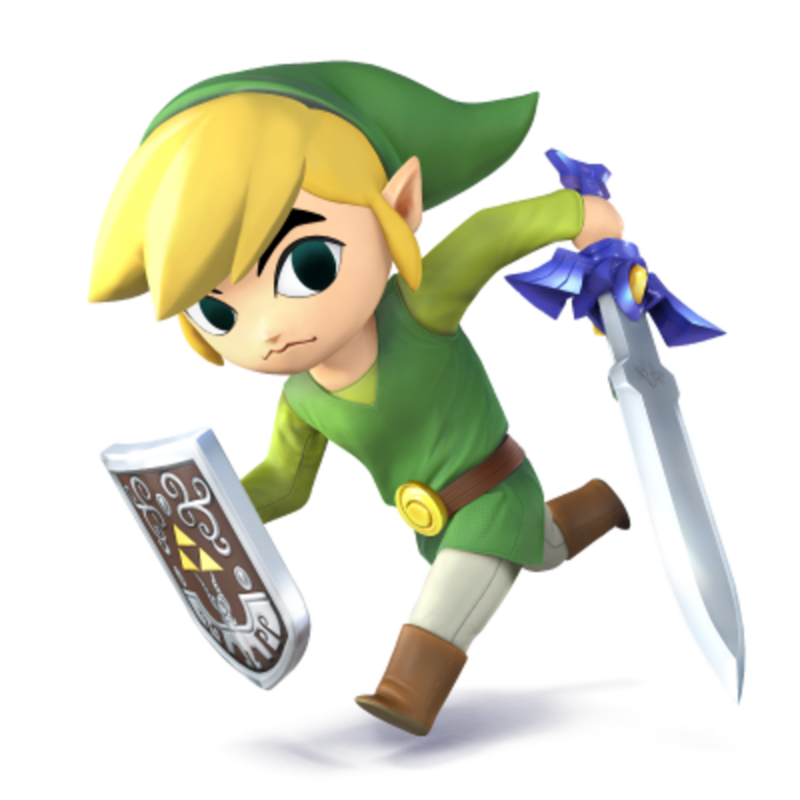 Now the 3DS version of Smash Bros. places a lot of emphasis on Spirit Tracks while the Wii U version is emphasizing Wind Waker for Toon Link. This is of course consistent with the general motif of portables for 3DS, consoles for Wii U. Ultimately, I went with “Realm Overworld” since although Wind Waker is the more recognized and more popular of the two, I do believe that Spirit Tracks is criminally underrated in comparison. Plus, I just like this song better. Oh sure, this theme wasn’t actually added to the series until the third game, Super Metroid but it still fits Samus absolutely perfectly. She’s a no-nonsense bounty hunter who can take on any challenge (except the trauma brought about by archenemy Ridley when he killed her parents as shown in Other M but that’s a rant for another day). Speaking of Ridley, he’s been confirmed to be a boss character in Smash Wii U which I guess is unfortunate for those who wanted him to be playable. I personally am disappointed that I can’t feature the iconic Ridley’s Theme in this list as a result. Oh well, can’t help that I guess. 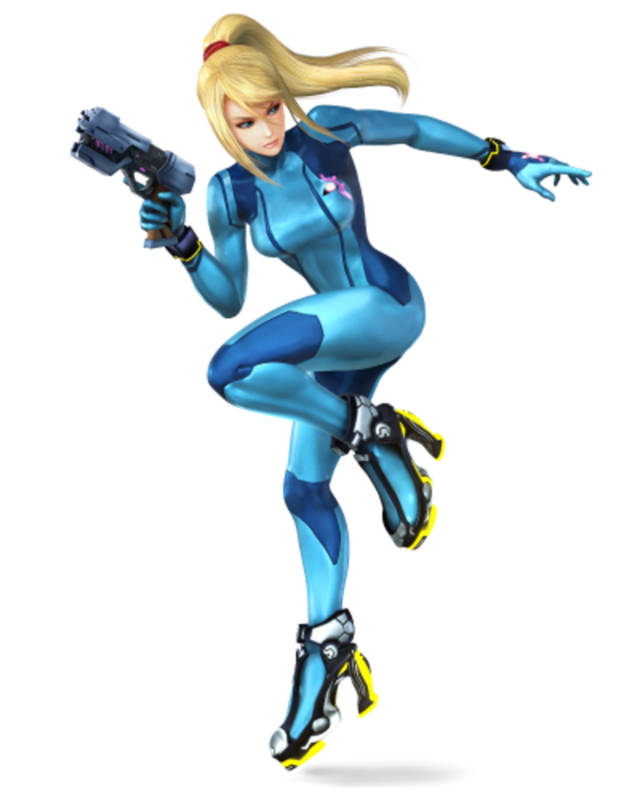 Since Zero Mission was the first time we could play Samus outside of her armor (excusing the “Justin Bailey” code), it is only natural that a song from that game represent her. Well OK, this is an arrangement of “Brinstar” from the very first Metroid but Zero Mission is a remake of that game anyway. Plus, this is that Zero Mission version that’s placed here on this list. 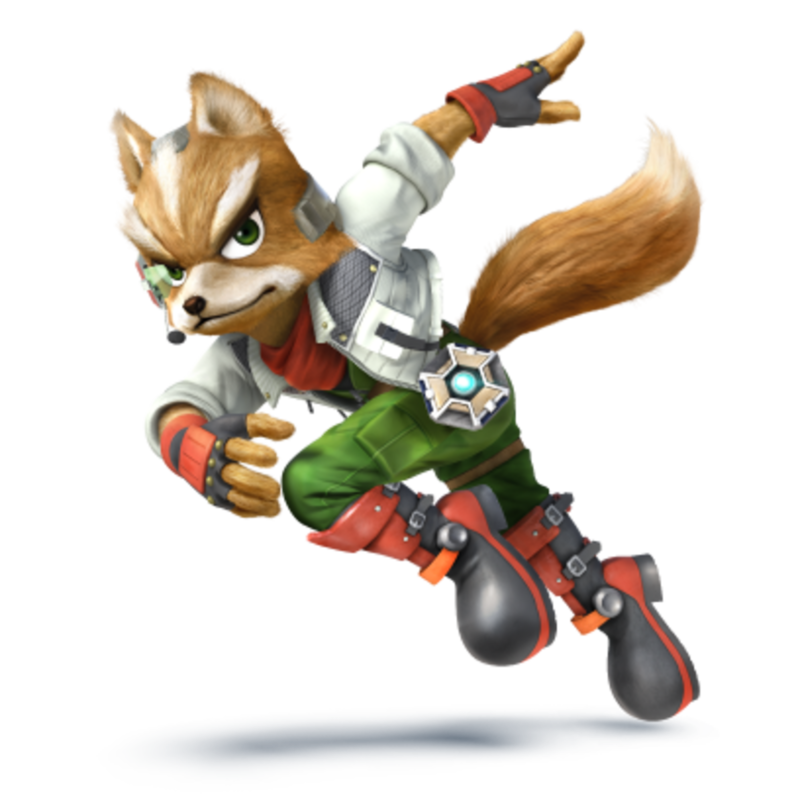 In the Lylat System, populated by anthropomorphic animals, Fox McCloud leads the intergalactic mercenary group Star Fox. Fox took over leadership of the group after the previous leader, his father James McCloud was betrayed by former member Pigma Dengar while investigating the actions of the mad scientist Andross on the planet Venom. Now, as the Lylat Wars between Corneria and Venom heats up, Fox leads Star Fox consisting of ace pilot Falco, engineering genius Slippy, and old veteran Peppy to battle Andross and the forces of Venom. It was either this or the Corneria theme from the first Star Fox. This specific version of the main Star Fox theme is from Star Fox Assault. Both themes are excellent. However, this is the theme that gets you pumped as Star Fox 64 opens up leading to the defense of Corneria against the invading forces of Venom. Flying their personal Arwings, doing barrel rolls (actually aileron rolls), and… shut up Slippy! Area 6 is one of the hardest levels in the game Star Fox 64 being the penultimate stage on the hard route before hitting the final level, Venom. And naturally, this made it one of the most memorable stages for players, and the excellent soundtrack certainly helped. 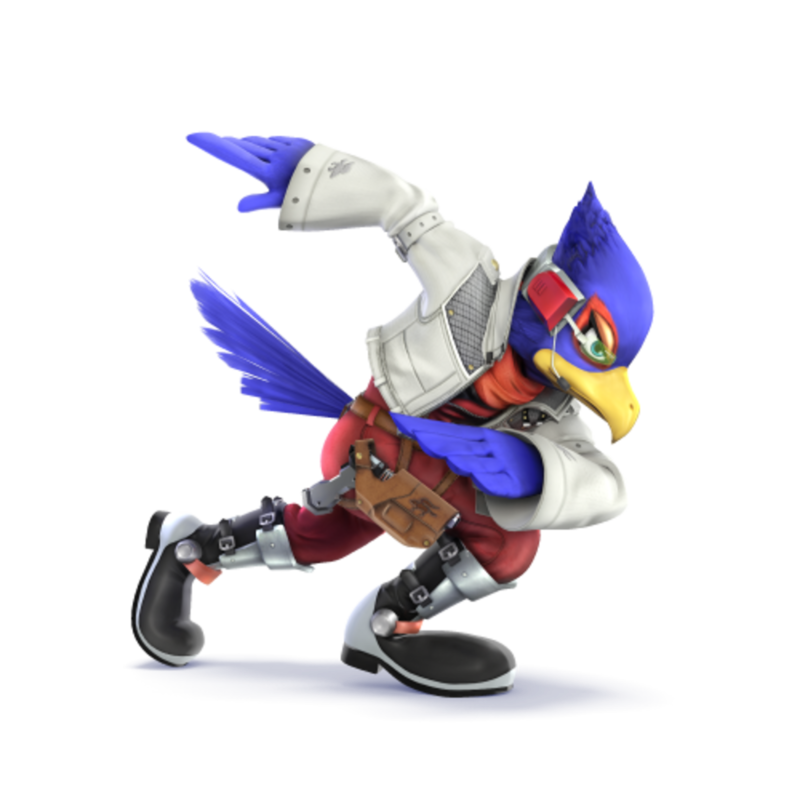 Now, if only Falco could get a final smash other than the Landmaster. Seriously, he prefers the air! When Gunpei Yokoi produced Metroid, he also produced a sort of companion game called Kid Icarus. Where Metroid was a pure science fiction piece, Kid Icarus was more fantasy based, heavily inspired by Greek mythology. 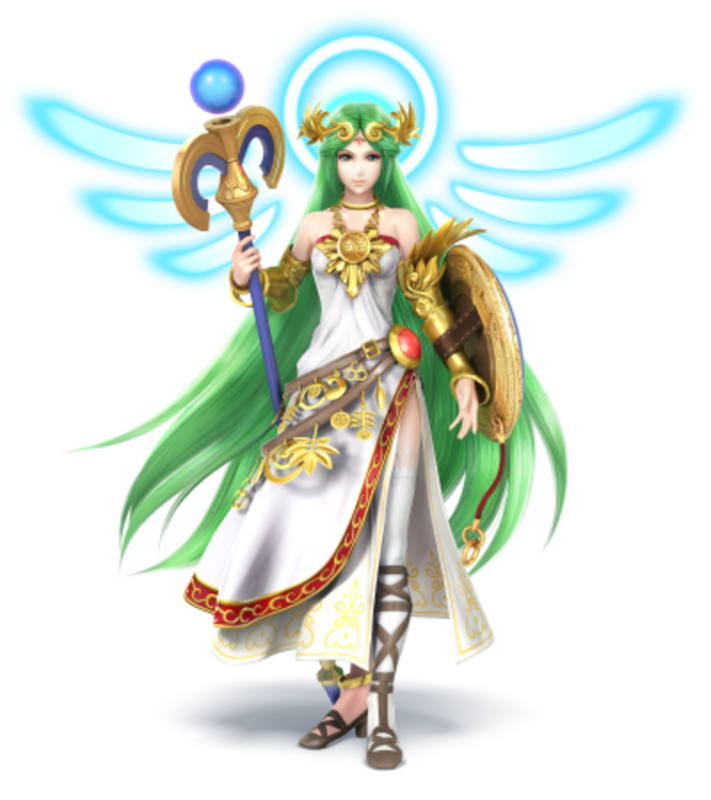 Players took control of the angel Pit, commander of the forces of Angel Land who had to rescue his patron, the goddess of light Palutena from the Underworld Army, led by the goddess of darkness Medusa. Anyway, at first it might’ve seemed like Metroid and Kid Icarus would be following a similar path with both games receiving a sequel on the Game Boy (Metroid II: The Return of Samus and Kid Icarus: Of Myths and Monsters respectively). 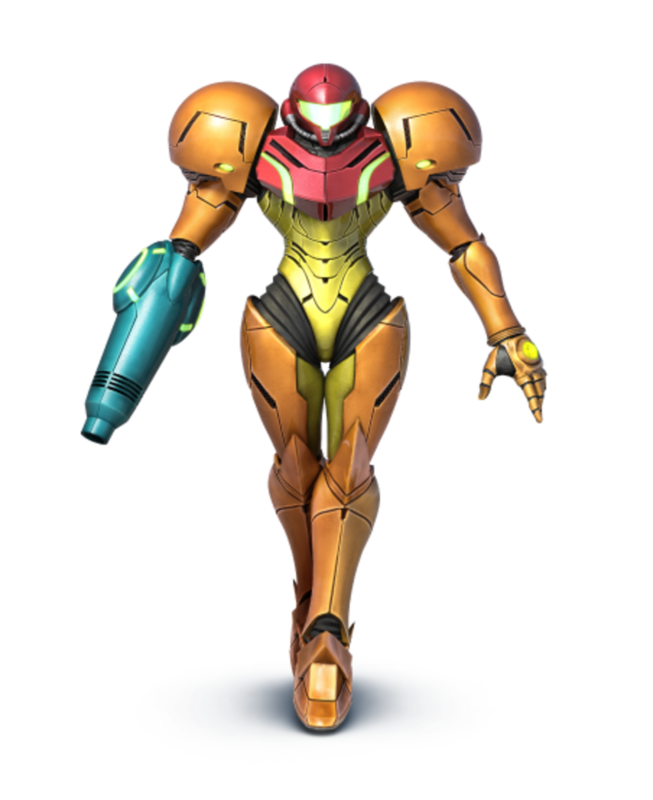 However, Metroid received a third game called Super Metroid in 1994, took an eight year hiatus, and then received Metroid Prime and Metroid Fusion, followed by a complete revival of the series. Kid Icarus on the other hand straight up disappeared for seventeen years, a forgotten relic of the past. 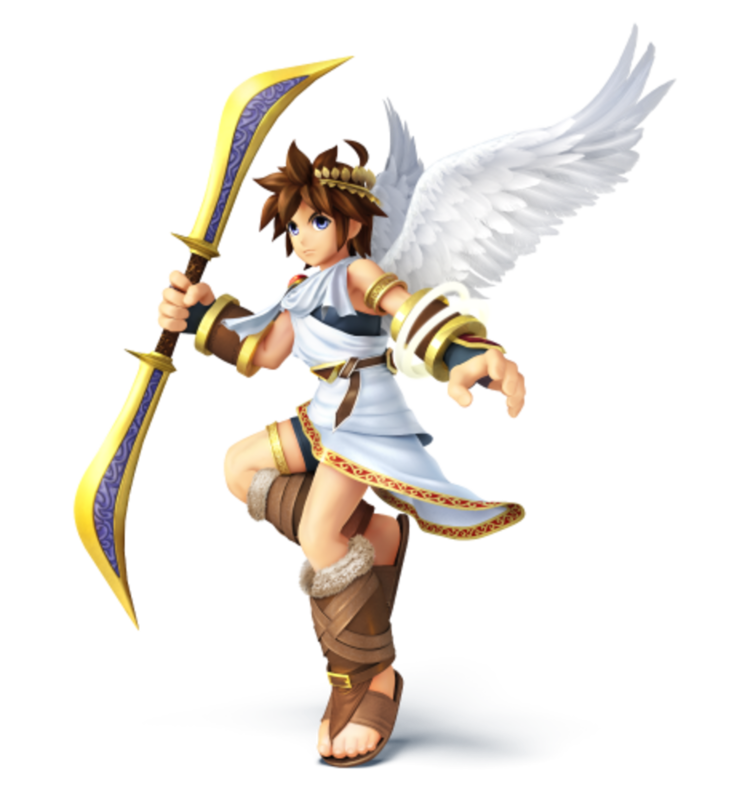 And then, suddenly out of the blue, Pit came back as a playable character in Super Smash Bros. Brawl with a revamped, updated design. A few years later, Kid Icarus made a glorious come back after a twenty-one year hiatus with the 3DS game Kid Icarus: Uprising. An epic return deserves an epic song. Hmm? This entry is all about the celebration of the return of Pit and the song is called “The Return of Palutena”? Oh well, the song features the original Kid Icarus theme and it still fits the theme perfectly. One of the most memorable moments of Uprising takes place when Pit is forced to fight Palutena who has been possessed by a creature called the Chaos Kin. Naturally, this is the theme for this particular chapter of the game. Think it’s appropriate? 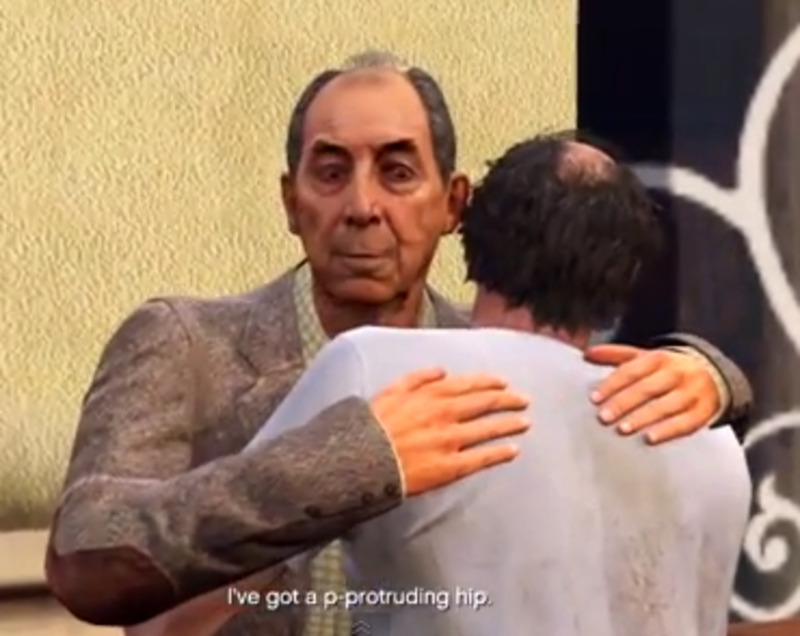 Hmm, no wonder people keep referring to this guy as “Spanish Pit”. 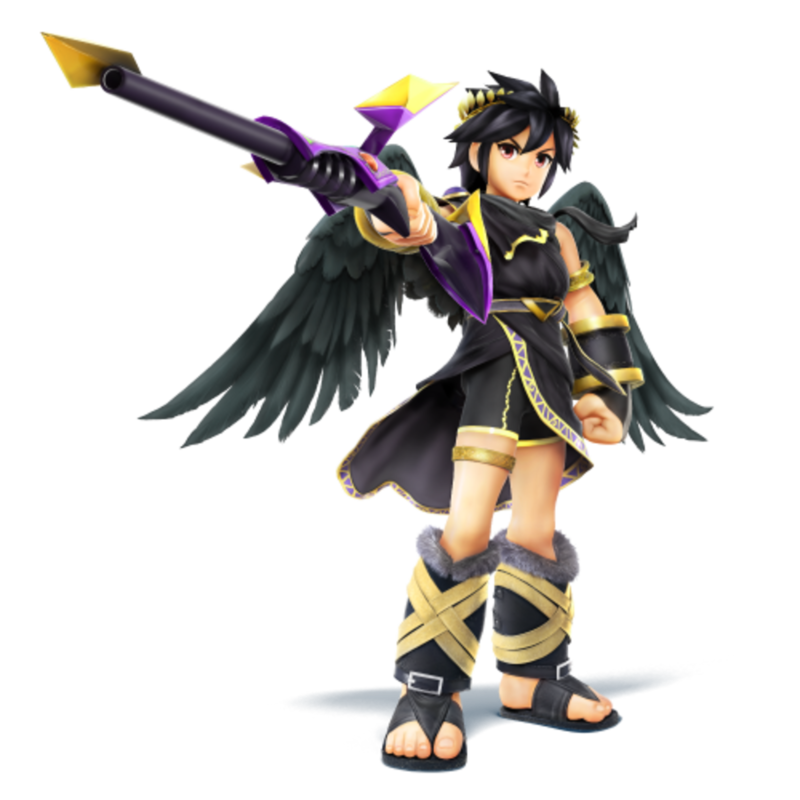 Well, that’s enough for Pitoo (“Dark Pit!”). Now this particular version of “Green Greens” is the version from Kirby Air Ride. Of all the versions of “Green Greens” out there why did I go with this one? Well, that’s just my right to choose, isn’t it? Now this particular version is the “Masked Dedede” version featured in Kirby Triple Deluxe. So why did I choose this particular version? Well, just listen to it. Seriously, just listen to it. 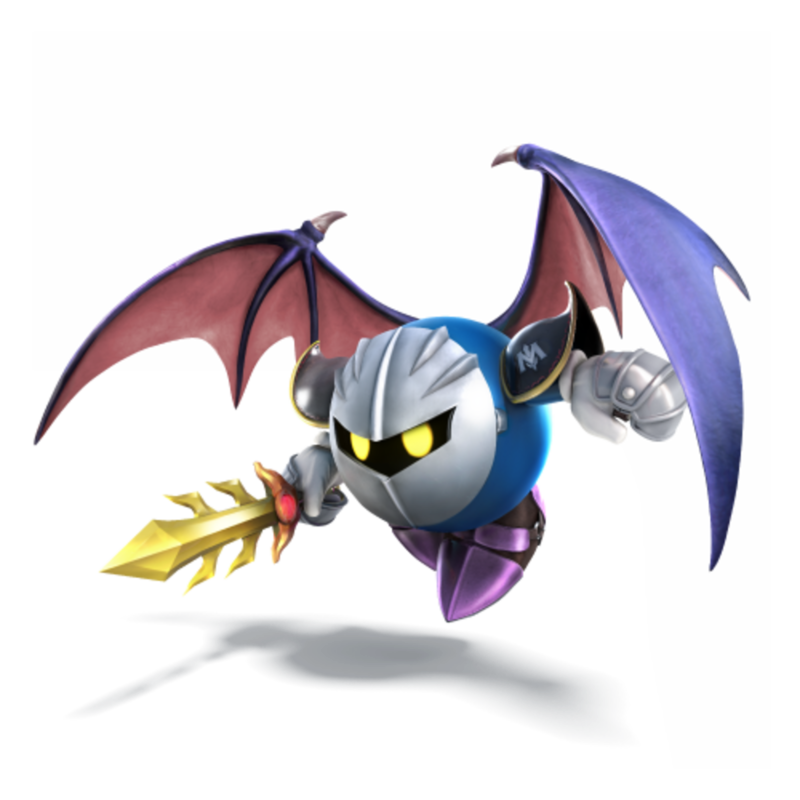 And to round out the Dreamland trio, we’ve got Kirby’s rival, the badass anti-hero Meta Knight. 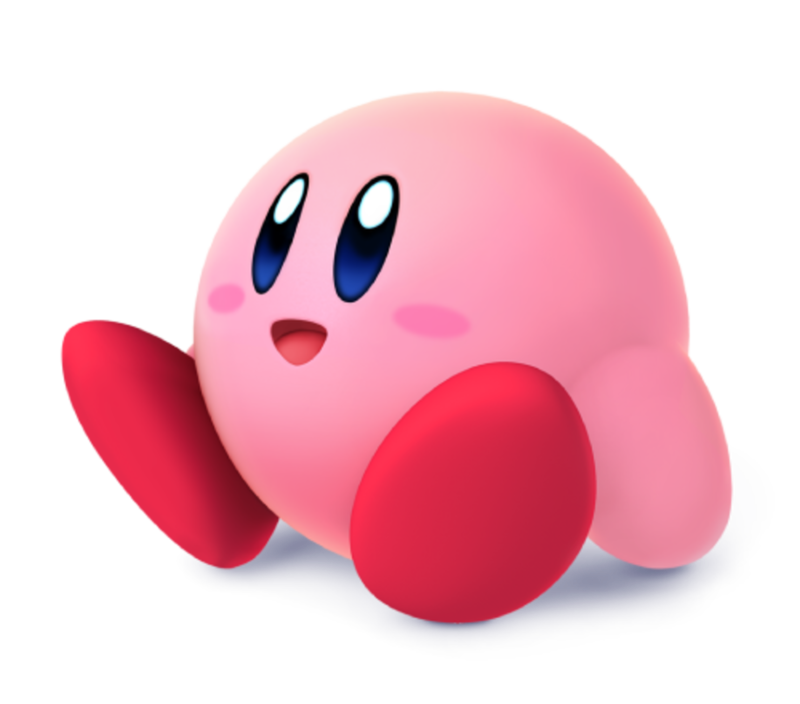 You know, the guy who wears a mask to hide the fact that he’s the same species as whatever the heck Kirby is? You know, the guy who was so ridiculously overpowered in Brawl that he was given his own tier and was banned from tournaments? Well, I’m happy to report that he’s been nerfed for this iteration of Smash. Anyway, he’s another character who has his own theme song. This particular version is once again from Kirby Air Ride. Man, the Kirby series certainly receives a lot of great soundtracks. This particular version of the song was featured in a commercial… ironically for Binding Blade. That aside, the lyrics are in Japanese and essentially serves as instructions on how exactly the game is played. This same song is featured in Brawl with the same lyrics… except in Latin. Clever, clever. 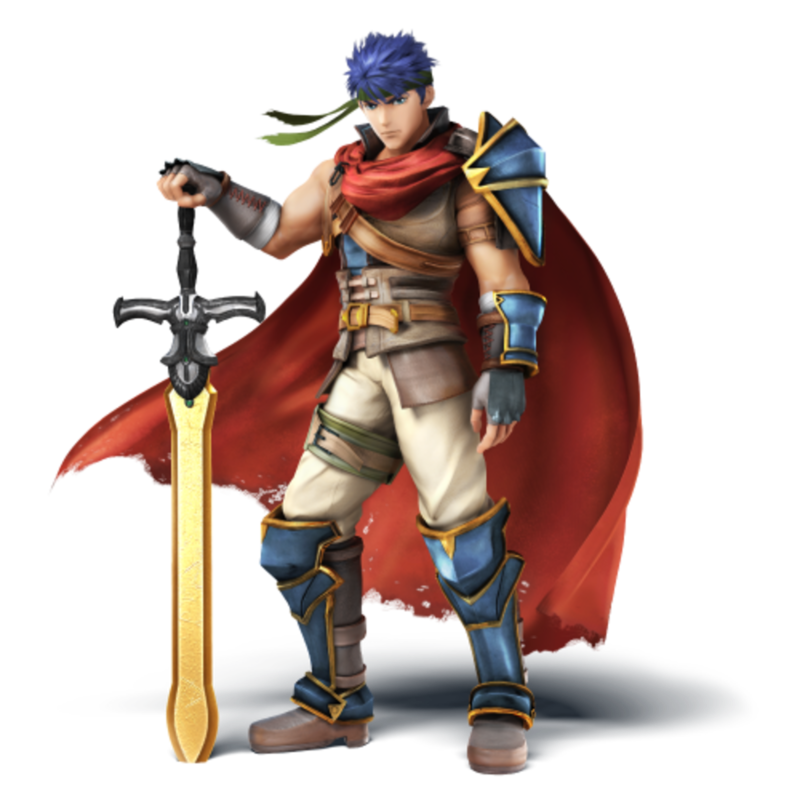 What’s interesting about Ike is that he’s the only one of all of the Fire Emblem lord characters who is not of noble birth. Naturally, this has made him especially popular in the United States. Not that I’m complaining, Ike is awesome and it’s great to see him back in Smash. 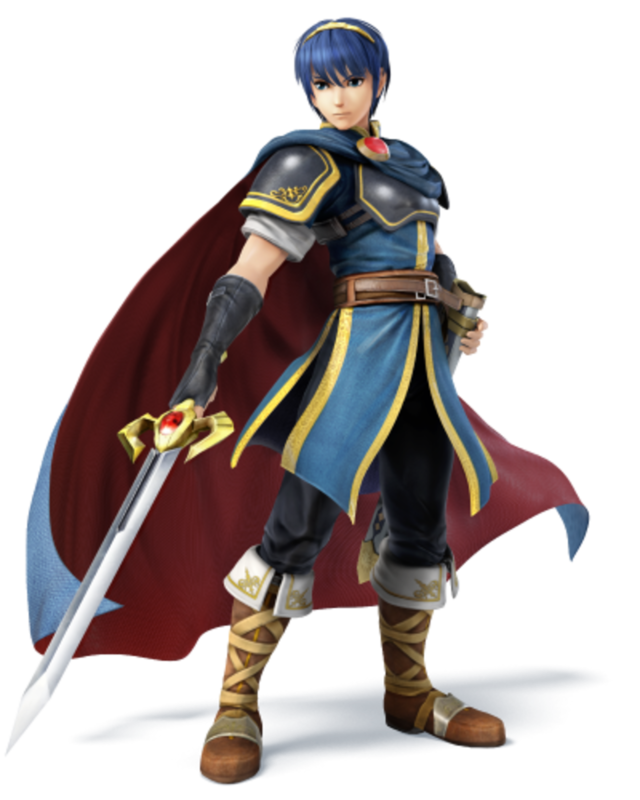 It was pretty much a given that a character from Fire Emblem Awakening would be joining the cast of Smash given that game’s extreme popularity and how it pretty much saved the Fire Emblem franchise. Awakening features two protagonists, but most people assumed that the character to be included would be Chrom, the poster boy lord character of the game. So it was really shocking when it was revealed that instead it would be the other protagonist, the customizable player Avatar, Robin. Heck, I myself assumed that Chrom would be playable and that for his final smash he would summon Robin for a pair-up attack. Turns out that for Robin’s final smash he/she summons Chrom for a pair-up attack. Ironic. Anyway, for Robin’s theme… like there’s any other choice! “Id” is the theme of the Avatar, the theme of Robin that has multiple variations within the game that plays in whatever context Robin is involved in. “Purpose”, in my opinion the greatest of the “Id”s, is the final boss theme and boy is it epic. “Id” is an allusion to Robin’s identity and how his/her identity is connected to the game’s main antagonist Grima which is what makes “Purpose” such an awesome song. I’m not going to go into any more details lest I spoil too much. All I’m going to say is play Fire Emblem Awakening! Well what do you know? Awakening received two reps. 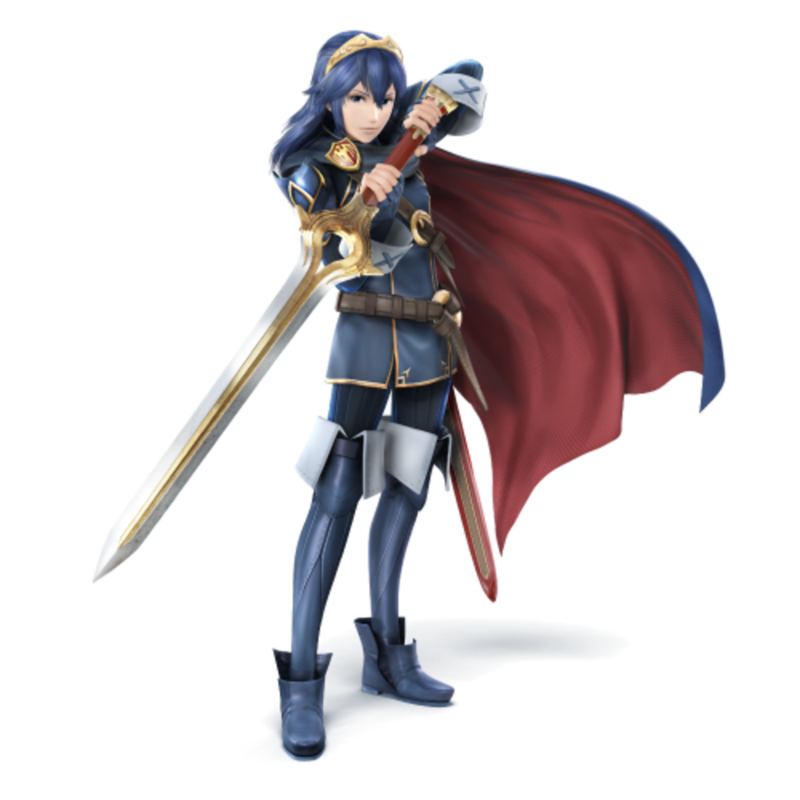 Initially, Lucina was just supposed to be an alternate for Marth, but the developers ultimately decided that she was different enough from Marth to become her own standalone clone bonus character. Spoilers: Lucina is Chrom’s daughter from the future who came to the past to change the bleak future. In Awakening, you can pair up the characters in multiple ways but the most popular coupling for Chrom by far is female Robin (it’s my personal favorite as well). 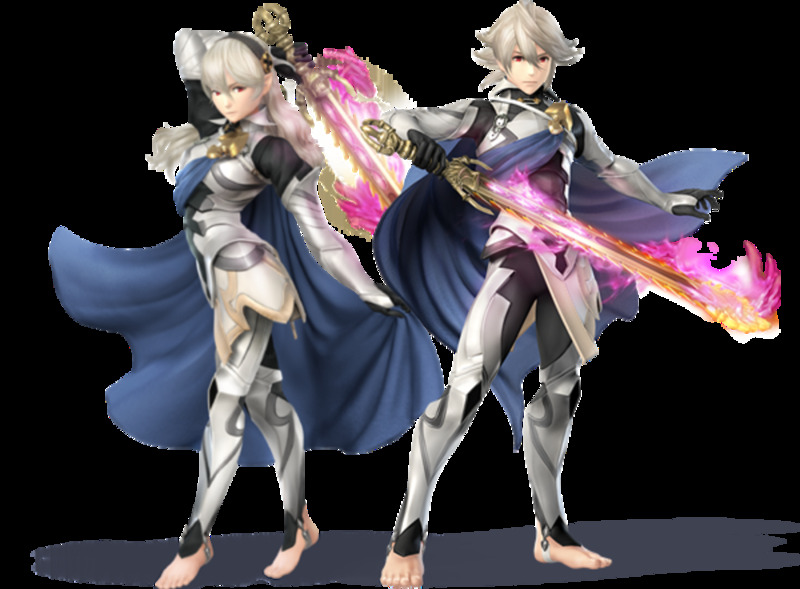 So by having both female Robin and Lucina playable in the game, you can have a mother-daughter beat down (depending on your personal canon) and if you activate Robin’s final smash, you can have both parents beating down on their daughter. Boy, this certainly turned dark suddenly. 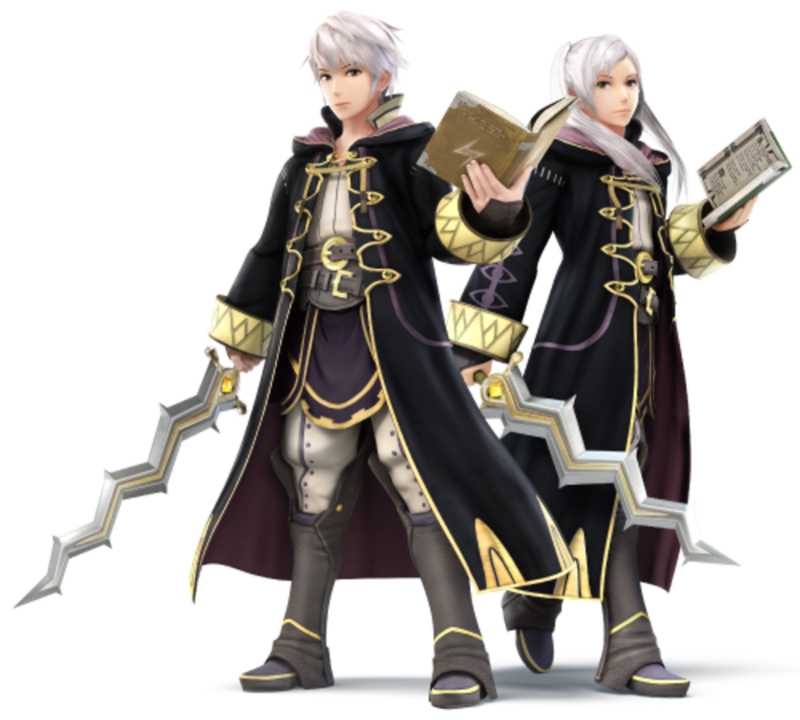 Anyway, on the flip side, the most popular pairing for Lucina herself is male Robin. Personally, I’ve never especially warmed up to this pairing (whenever I play Awakening with male Robin, I usually pair him with Lissa and Lucina with Gerome). Something about marrying your best friend’s daughter just feels kind of off for me. But, maybe I’ll give it another try on my next playthrough. Back on topic, I chose “Rival” for Lucina’s song since I feel like it’s the closest thing that Lucina has to her own theme in the game. It’s not exactly a theme that fits well in Smash per say, but it plays in Awakening in two key moments that heavily involve Lucina. The first time is the cut scene in Chapter 4 taking place in Arena Ferox where Chrom and Lucina (still disguised as “Marth”), face each other in a duel and where Chrom realizes that “Marth”’s sword is the same as his: the Falcion (yes, the very same Falcion that the Marth in the above entry wields). The second time is in Chapter 23 during the final showdown with Validar. I won’t spoil it but to be honest, this song plays at a moment that is actually one of Robin’s biggest triumphs in the game, but Lucina was the instigator of that triumph so it still counts. *sigh* As I stated in the entry for Marth, I really didn't want Roy to come back for Smash 4. 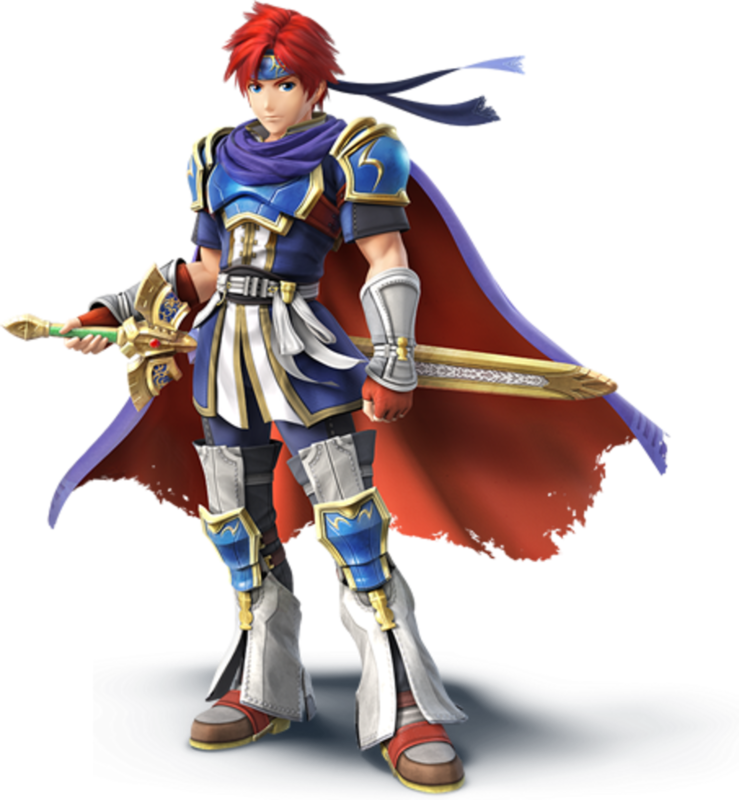 To me, Roy is a symbol of the utter levels of hypocrisy the Smash fandom can descend into: a fandom that whines and complains insistently about clone characters being "waste of a character slot" and yet will demand the return of a clone character for no other reason beyond the fact that he was part of Melee's roster. Heck, its pretty much a given that most Melee fans who demanded the return of Roy had never even played Fire Emblem: Binding Blade. 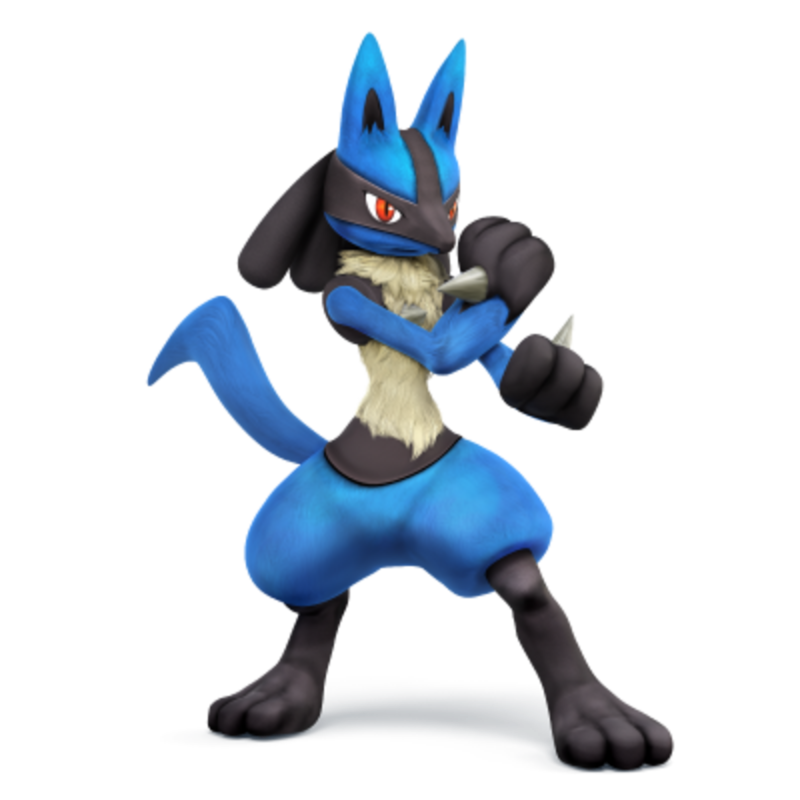 Oh well, he's back in the roster as a DLC character now, so I'll just have to live with it. OK, that's enough about Roy. Maybe Melee fans can quiet down a bit now (though I doubt it). Well, people certainly got rather salty over Corrin's inclusion didn't they? That's really a shame because Corrin is a freakin' load of fun and is a wonderful addition to the roster bringing in a completely original play style. The problem is that Corrin is the sixth Fire Emblem character to be added to the game which is really over saturating the roster. Personally, I blame Roy though since he's the least relevant of them all. The truth is back when I began playing Fire Emblem Fates (or rather Fire Emblem If since it was the Japanese version) I thought that Corrin would be an awesome addition to the Smash Bros. roster: I believed that the fact that he/she was a dragon transforming Manakete would present an opportunity for a very unique character that would be a lot of fun to play as. And you know what? I was right! Oh, you just knew that the mascot of Pokémon was gonna show up here at one point or another. Pocket Monsters is a phenomenon, one of Nintendo’s “Big Three” franchises alongside Mario and Zelda. And with his exposure in the anime, this electric mouse has become the very face of the franchise, representing all seven hundred and nineteen Pokémon (as of Gen 6). And for his theme? 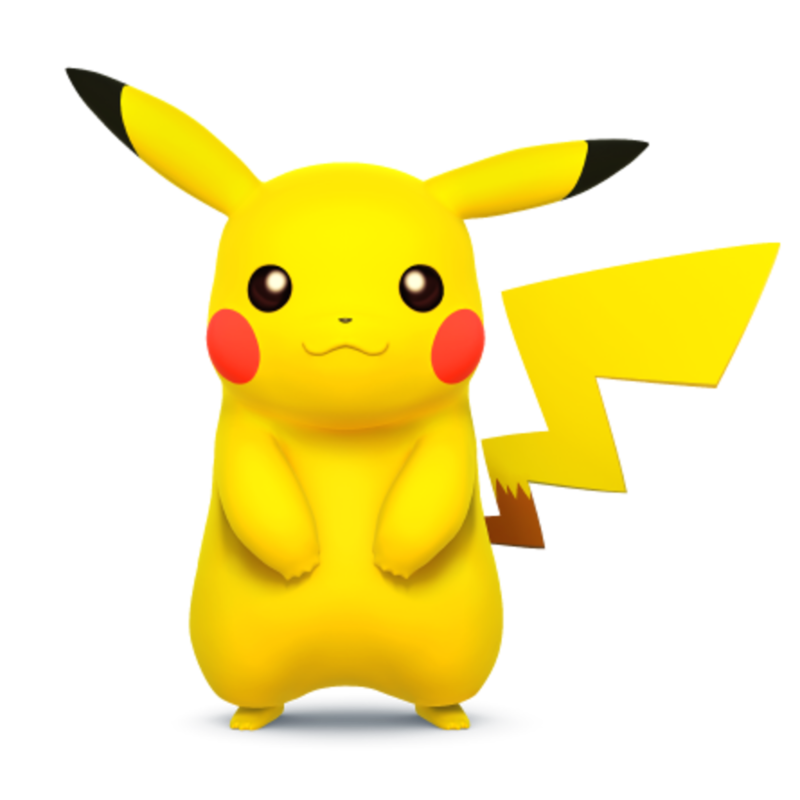 Well, answer me this: where was the first place you met Pikachu the first time you played Gen 1? Generation 1 Red and Blue (or Red and Green if you lived in Japan) was the beginning of everything for Pokémon, and Route 1 was the first route traveled by many on their travels through the world of Pokémon, and that rare encounter here in Viridian Forest, that electric mouse. This is where Pokémon started for so many people. Pikachu may be the mascot of Pokémon but for many players, their first Pokémon ever was that flaming lizard, Charmander. And what did he evolve into? A badass fire dragon (who actually wasn’t a real dragon since he’s fire/flying, but now in X & Y he can become Mega Charizard X which actually is fire/dragon so I guess he’s a real dragon now but I’m getting off topic). 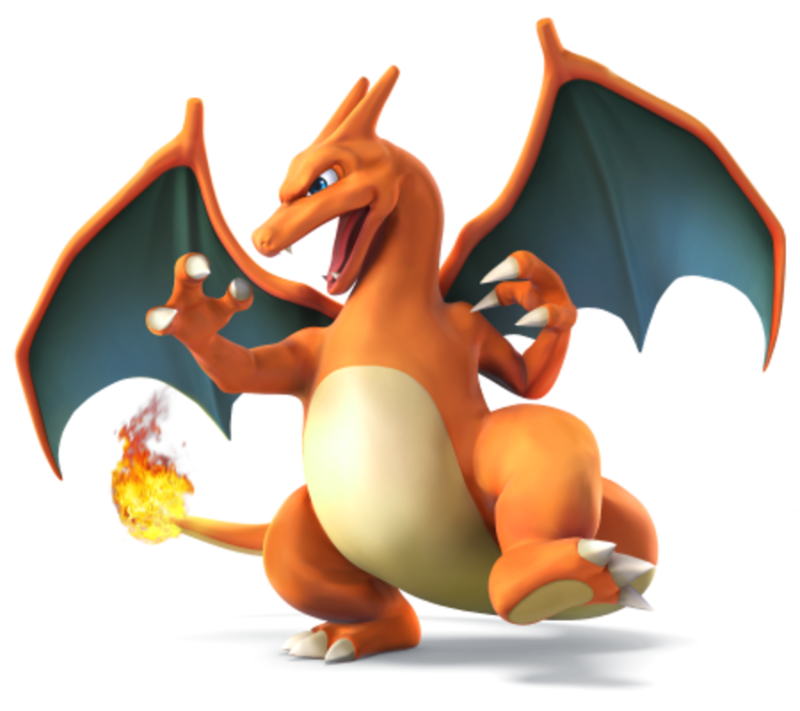 Anyway, with the large amount of exposure he received as the mascot of Pokémon Red, it was probably inevitable that Charizard would go on to become one of the most wildly popular Pokémon of them all. As such, while Pikachu gets “Kanto Route 1”, Charizard gets the big one, the main theme itself! This specific version was the one used in Pokémon Origins, a four-part animated special Game Freak made in honor of the release of Generation 6 Pokémon X & Y. Watch it. It is my firm belief that this is an excellent series to watch, even more so especially if you are a Pokémon fan. Pokémon Diamond & Pearl are arguably some of the darkest games in the series and a lot of the music in the game reflects that. What, with Cyrus of Team Plasma wanting to destroy the entire universe and then recreating it in his image, how much darker can you get? Naturally, we’ve got some great music to go with themes like that. With the Generation 6 games X & Y, coming out not too long after the formal reveal of Smash 3DS/Wii U, it made perfect sense for a Generation 6 Pokémon to be added to the roster. The question was which Pokémon would it be? Considering that X & Y was in development around the same time that Smash was this was actually a tricky question. As it turns out, while development of both games was going on, Sakurai visited Game Freak to consult with them about which Gen 6 Pokémon would be added to the roster. Taking a gamble, he decided to go with Greninja simply based on the preliminary designs. The fact that Greninja did become the breakout popular Pokémon of Gen 6 is actually a pure coincidence. 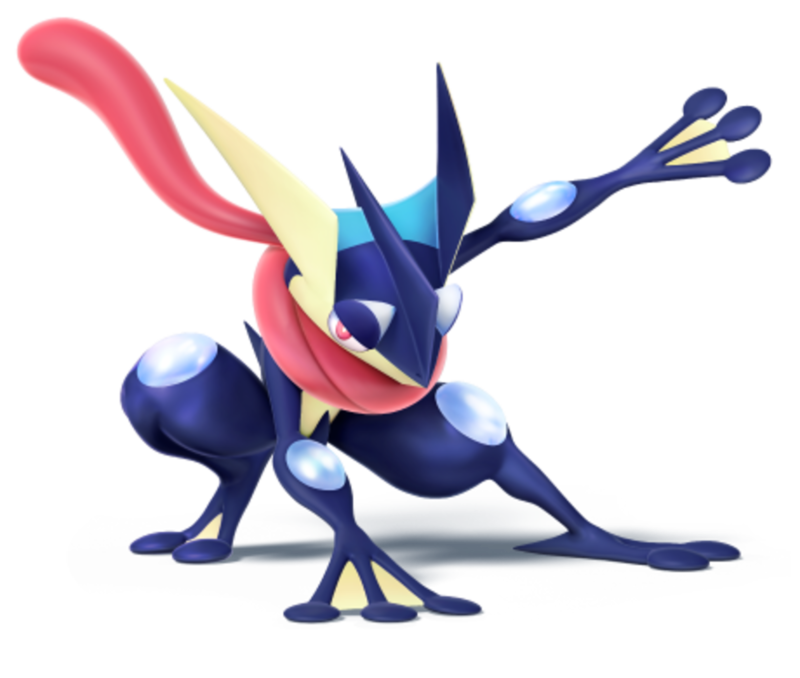 To be fair, Greninja had a lot going for him being a starter and a ninja, but the thing that made Greninja so popular was his hidden ability Protean, and it’s doubtful anybody predicted that. Obviously, it’s going to be this theme. Greninja’s reveal trailer left a huge impact on viewers, mostly those who were initially convinced that he was Mewtwo. I mean, since when does a water shuriken look like a shadow ball? The Pokémon featured in that trailer was obviously a water type, not a psychic. Not to mention the X & Y music and the hand seals. Obviously as a Gen 1 Pokémon, Jigglypuff needs a theme introduced in Gen 1. In fact, the Pokémon Center theme has been in every single game to date since, well, there are Pokémon Centers in every single game. I say this theme is simple and serene enough for this mighty slayer of dragons. Oh yeah, Jigglypuff is fairy type now making her a slayer of dragons. 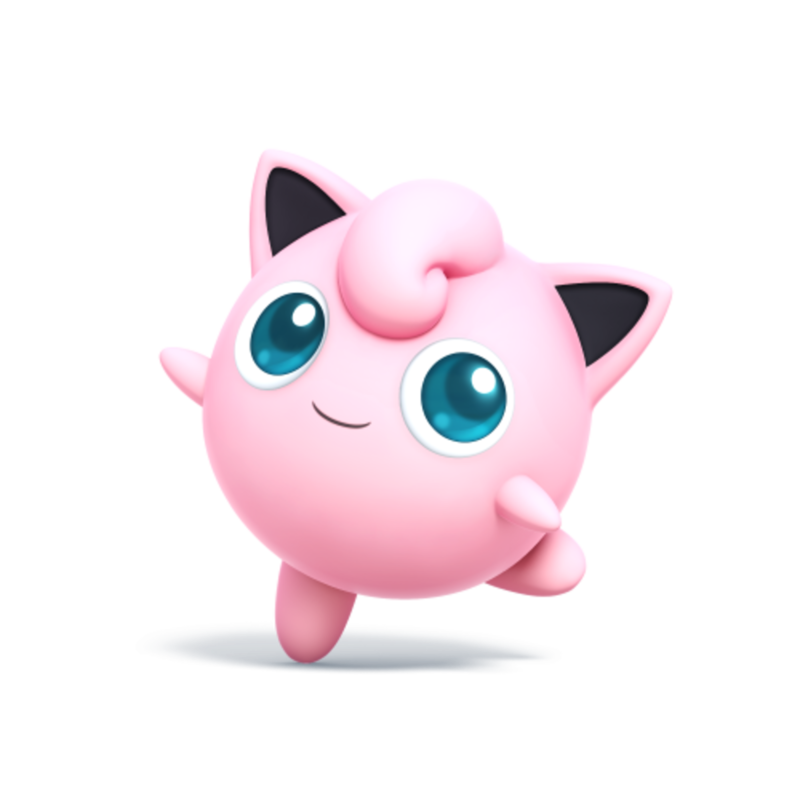 Oh, and one final note: Jigglypuff is amongst the original 12—she will never be cut from Smash. Gen 1 Pokémon, Gen 1 song. Like Charizard’s entry, this particular version of the song is from Pokémon Origins. Again, let me say, watch Pokémon Origins. 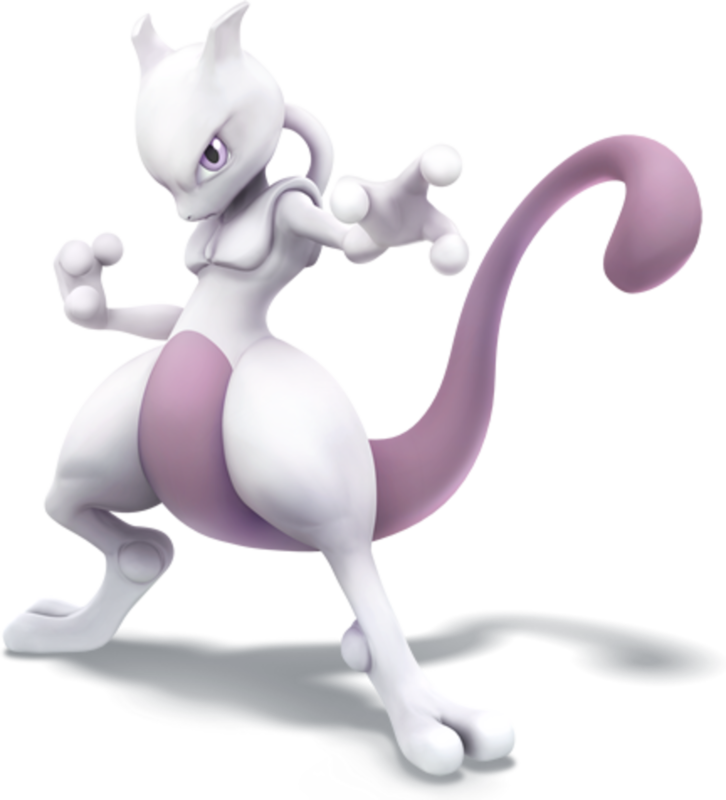 And enjoy Mewtwo once he finally comes to the games sometime next year. Hopefully, he’s received a buff from his Melee version. Honestly, the most powerful Pokémon of all (at least until Arceus came around) and he sucked so much in Melee? Why this particular song out of the many, many awesome songs in this entire franchise? Because “Pollyanna” is one of the few songs that has appeared in all three games. In Mother/Earthbound Zero, “Pollyanna” was the overworld theme before Ninten had acquired any companions. In Mother 2/Earthbound the opening motif is featured in the dawn after the first night adventure while the rest of the song is the BGM of Ness’s house. In Mother 3, the song plays while Lucas and co. travel through Pokey’s Nostalgia Hall. Anyway, don’t take my word for it. Just play the games yourself. Just, no crying until the end. Well Holy Crud! Lucas certainly came out of Nowhere. 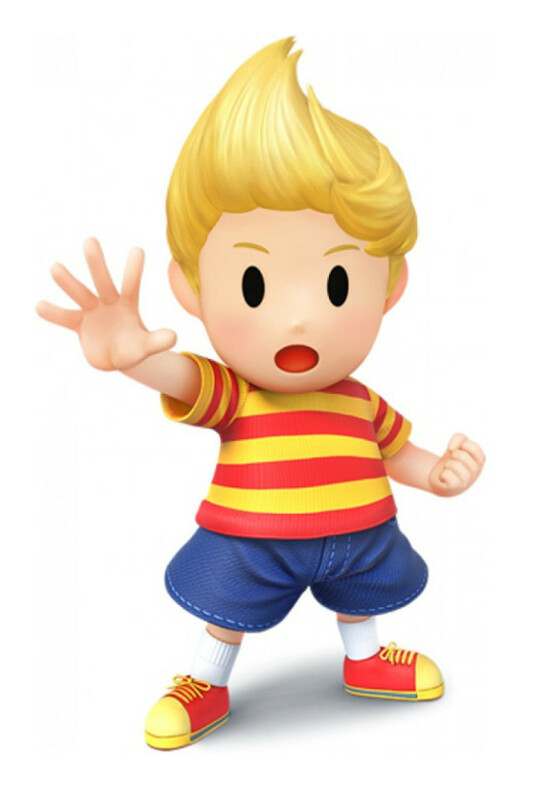 Literally: Lucas originates from a place called "Nowhere Island" as anyone who's familiar with Mother 3 would know. 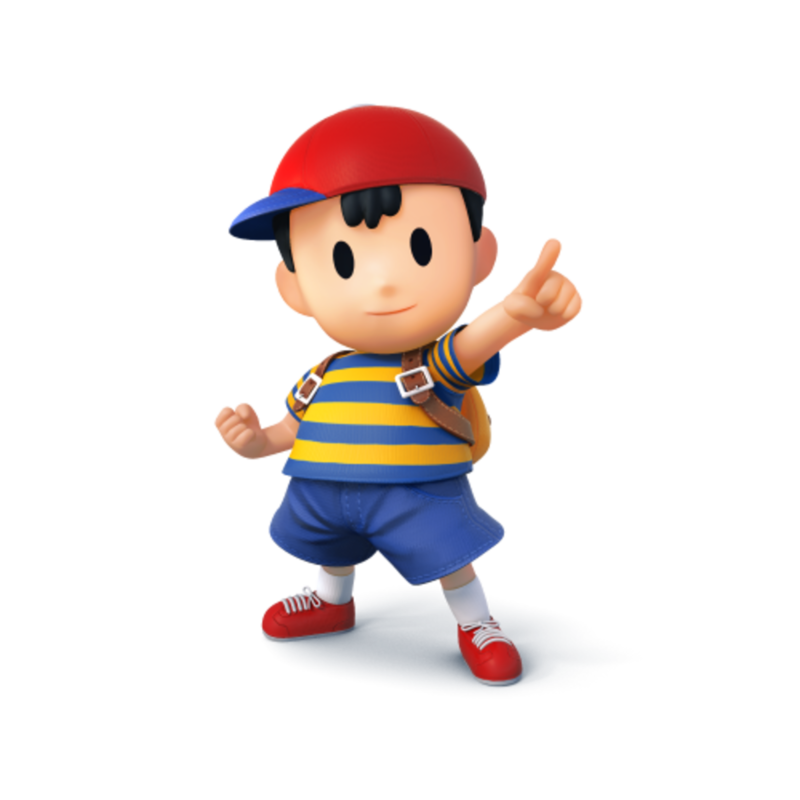 Seriously, Lucas's return to Smash Bros. is astounding because his addition opens the floodgates for DLC characters. 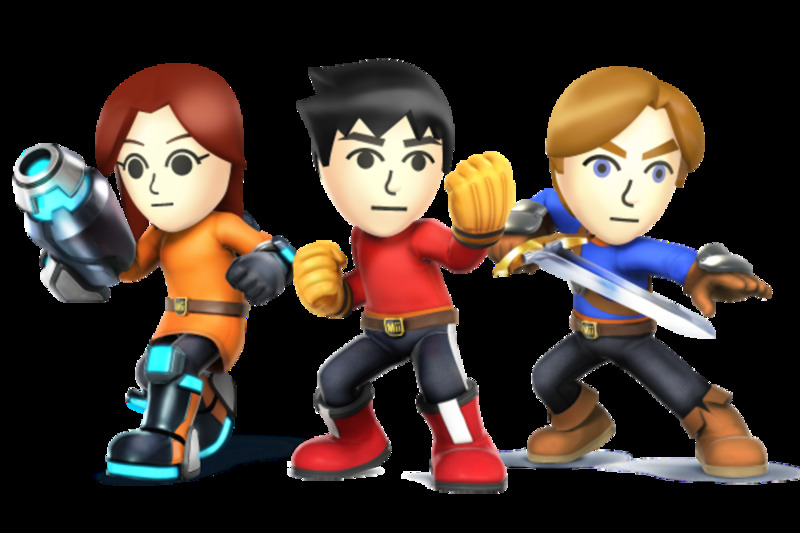 And for starters, there's Ryu, Roy, and then whatever characters are chosen from the Smash Ballot. Anyway, I stated in Ness's entry that Lucas would get the "Song of Love". and though Ness is keeping "Pollyanna", Lucas is definitely getting the "Song of Love". You know, Mother 3 is one of the darkest games Nintendo has ever produced, especially in comparison to its predecessor Earthbound/Mother 2. I wonder if the game will ever get its western release. Well, here’s the last of the original twelve, Captain Douglas J. Falcon the racing bounty hunter from the F-Zero series. Captain Falcon is the poster boy of the F-Zero games, featuring high-speed futuristic racing. Falcon himself races in his trusty Blue Falcon and is regarded in game as the greatest bounty hunter in the galaxy. Hmm, Samus has that title as well. However, at this point Falcon is known more as a participant in Smash Bros. than in his own series. There literally hasn’t been an F-Zero game in ten years (F-Zero Climax the latest game came out in 2004) and Falcon is known less as a racer more for his “FALCOOOOON PUUUUUNCH!!!!!! !” which was created specifically for Smash Bros. Heck, the Falcon Punch even made its way into the official F-Zero anime, F-Zero GP Legend. But enough of that, back on topic. Of course, “Mute City” is the song to represent Captain Falcon. This particular version is called “Endless Challenge” and is the version of the song used in F-Zero X for the Nintendo 64. Speaking of F-Zero X Captain Falcon was revealed rather late in Smash’s development cycle on July 14th, 2014 in the Robin/Lucina trailer. In hindsight this actually makes perfect sense since July 14th was the sixteenth anniversary of the release of F-Zero X in Japan. But I certainly find it astounding how many people were starting to get downright paranoid about the possibility that he might’ve been cut from the roster before his reveal. 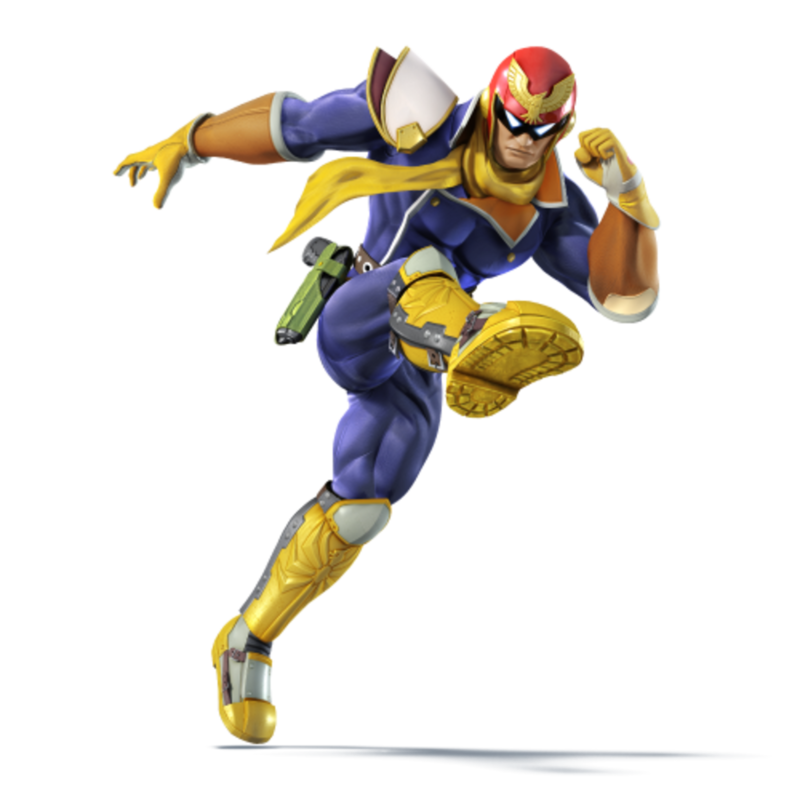 I mean come on, he’s Captain Falcon, there’s no way in heck he was going to be cut. Then again, might have to do with the fact that there hasn’t been an F-Zero game in a decade. Come on Nintendo, give us something, even an HD remake F-Zero X will do. In 1980 Nintendo unleashed Gunpei Yokoi’s brainchild the Game & Watch series into the world and thus made their first foray into the handheld video game market. These single game LCD screens were a major success in the market and the vast majority of them featured them a two-dimensional man with limited LCD animation. In 2001, this 2-D mascot jumped out of the LCD handhelds and into the roster of Super Smash Bros. Melee with the name Mr. Game & Watch. Since the Game & Watch series didn’t have any music, Smash Bros. pretty much made themes specifically for Mr. Game & Watch using sound effects from those games. 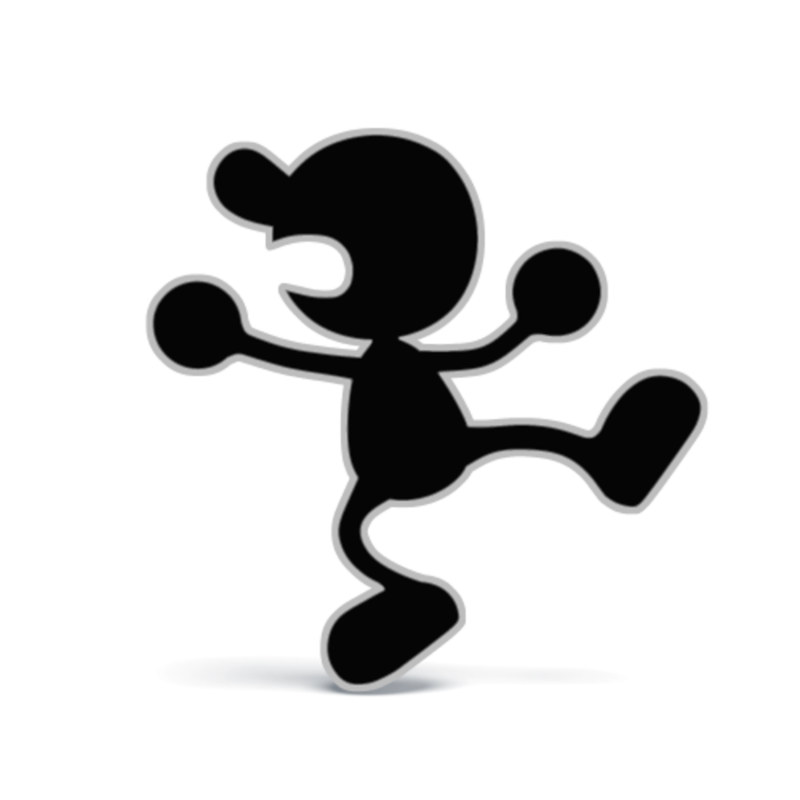 Honestly, there’s nothing more I can really say about Mr. Game & Watch. I could’ve very well have put “Ai no Uta” here for Olimar and the Pikmins’ song, but I ultimately decided on “Forest of Hope” instead. 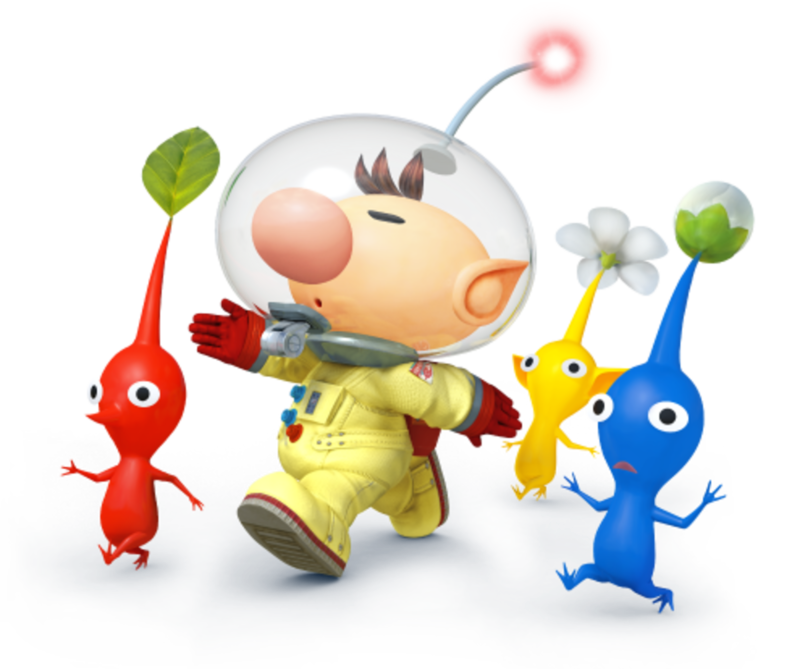 A lot of the songs from Pikmin have a tranquil serenity to them and I feel that this song exemplifies that the best. So, let’s just sit and relax as we take a listen to the song. R.O.B. is unique amongst the Smash Bros. roster because technically he’s the only one who didn’t originate as a video game character. The Robotic Operating Buddy was an accessory to the original NES and was used by Nintendo as a Trojan horse of sorts. After the 1983 video game crash, retailers were reluctant to stack video game consoles on their shelves, believing that the “video gaming fad” had passed away. This of course proved to be a hindrance when Nintendo brought the NES over to the United States. 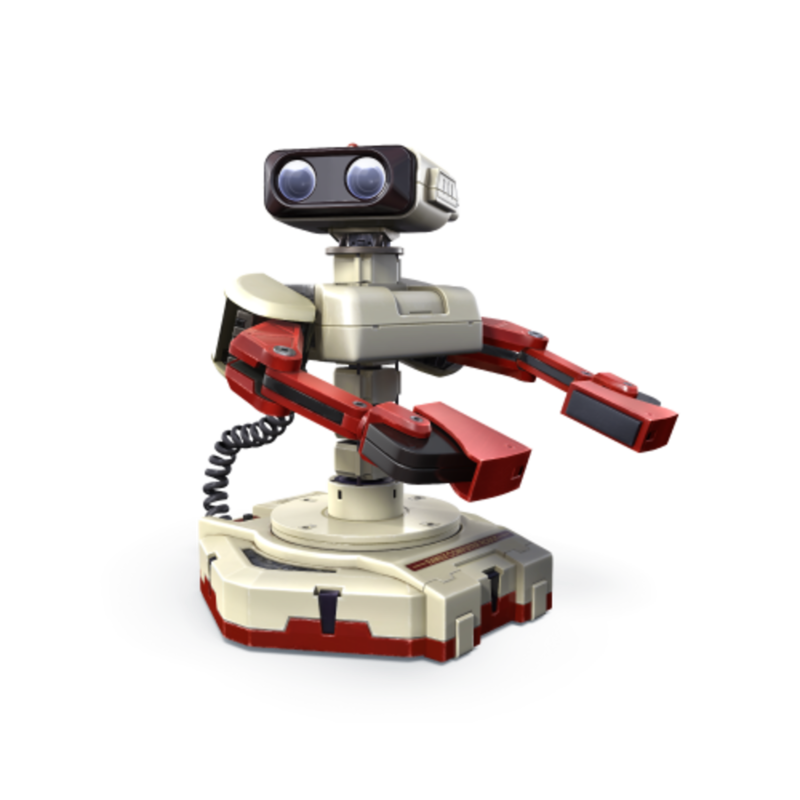 Therefore, in a very successful marketing ploy, Nintendo packed the R.O.B. into a bundle with the NES. Thus, when retailers would show reluctance about stocking the NES, Nintendo could point to the R.O.B. and say, “No-no, this isn’t a video game console. This is a toy that so happens to come with a video game console.” It worked. Anyway, the Robotic Operating Buddy peripheral could only be used for two games in the NES’s line up, Gyromite and Stack Up. Much like Mr. Game & Watch, R.O.B.’s inclusion in the game meant that a new music track was composed specifically for him. That said, what R.O.B. received was a medley of the soundtracks of Gyromite and Stack Up. Makes perfect sense. Animal Crossing received a lot of representation in Brawl including a stage (Smashville), an assist trophy (Mr. Resetti), an item (The Pitfall), and a lot of trophies, stickers, and music. And yet, it didn’t have a playable character. This was because Sakurai had initially considered Animal Crossing’s playable avatar the Human Villager as a playable character but ultimately didn’t include him/her because he didn’t think Animal Crossing could fit into a fighting setting. 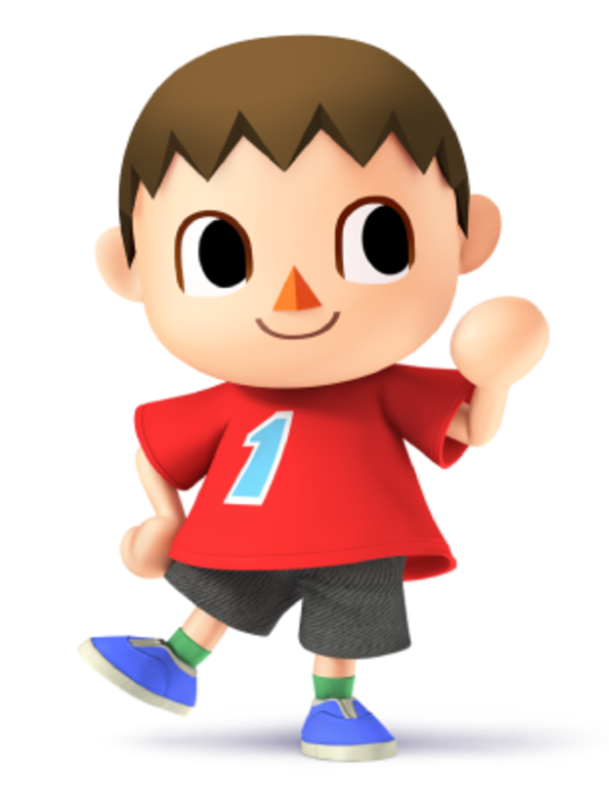 Obviously this changed over the next five years as the very first trailer for Smash 3DS/Wii U showed the Villager receiving his invitation for Smash. And now, he (or she since you can choose both genders) is here. E3 2013, Nintendo fans were on a tremendous high with the reveal of Smash 3DS/Wii U and the reveal of Megaman as a new character and were no doubt excited to see who else would be joining the roster. So, coming off of Megaman, a lot of people were no doubt treated to a huge WTF moment when the next character revealed was the Wii Fit Trainer. 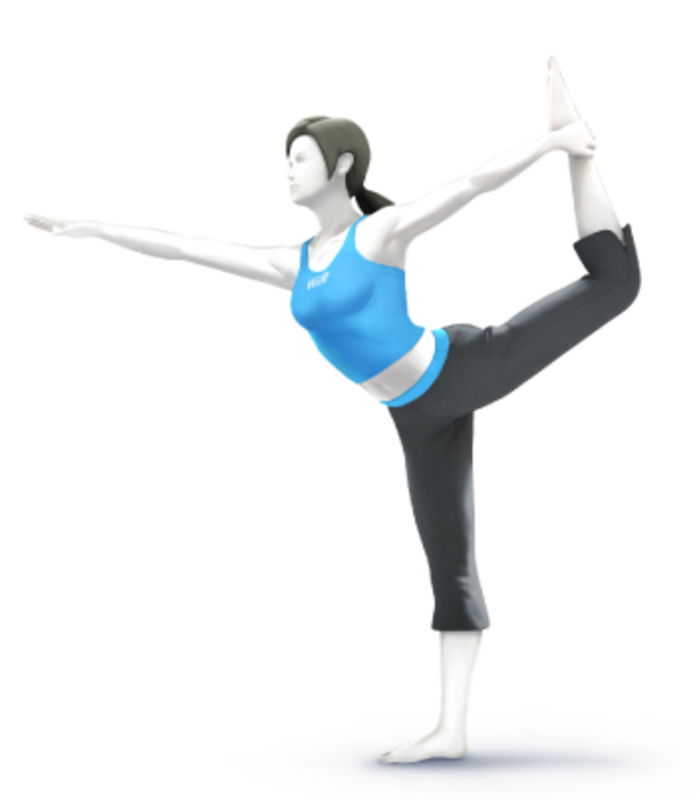 Regardless of your expectations, the Wii Fit Trainer’s inclusion in the game sent a message out to everyone: anybody from Nintendo’s vast library was fair game for inclusion in this game. On a final note, the Wii Fit Trainer is another one of those characters where you can choose one or the other gender. It’s not like there are too many musical themes you can choose from Wii Fit. Victory Theme A is fine enough for this spot. 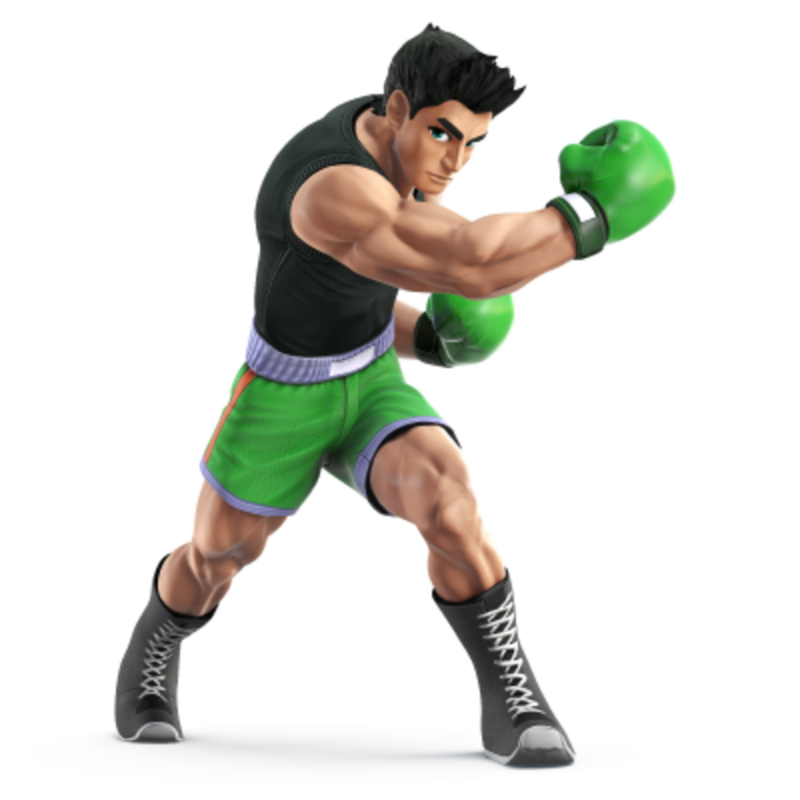 Little Mac was one of the most highly requested characters for inclusion in Smash in the west. 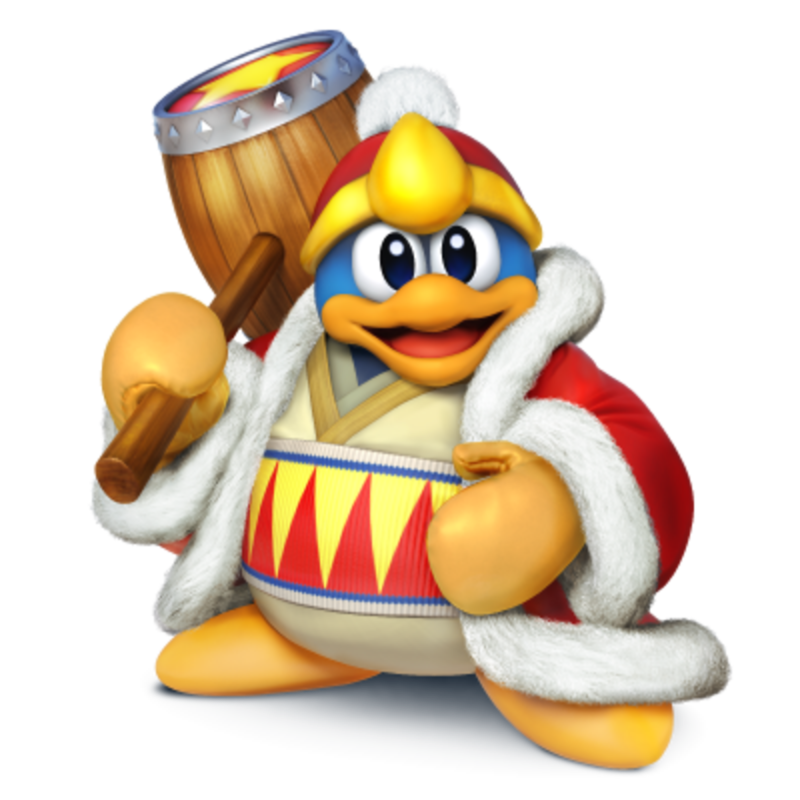 He was an assist trophy in Brawl and finding out that he had been promoted to playable character was a huge moment of celebration on this side of the pond. But, it left a lot of Japanese scratching their heads and asking, “Who the heck is this guy?” Hmm, with westerners having that kind of reaction to the likes of Ness and Marth, it’s undeniably interesting to see this role reversal (I myself am half Japanese so I personally find this whole exchange highly amusing). Oh yeah, you know it was gonna be a theme that fits well with a sports montage for Mac. I suppose the jogging theme would also work but I’m going with the main theme for this one. This particular version is the theme featured in Punch Out!! Wii. The Punch-Out!! series has plenty of awesome tunes so I think it would be great if people checked the series out. You know what? Next time I’m in Japan, maybe I should go around telling people to play Punch-Out!! Wii. I’ve talked about Operation Rainfall in another one of my hubs. In a nutshell, it was an ultimately successful campaign to convince Nintendo to release several Japan exclusive Wii JRPGs in the west, namely second party games Pandora’s Tower and The Last Story and first party game Xenoblade Chronicles. 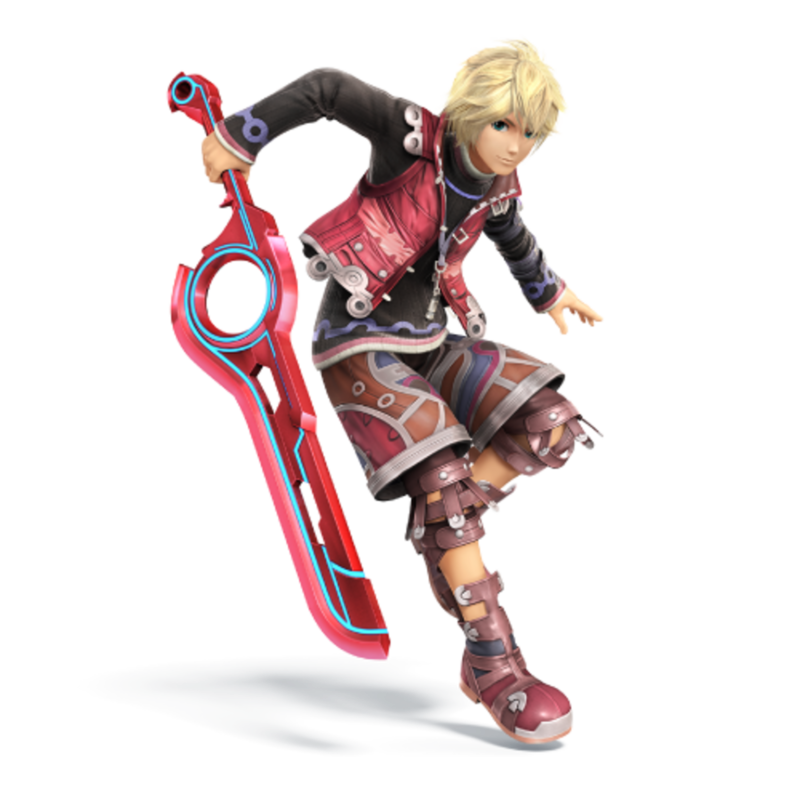 Shulk is the main character of Xenoblade Chronicles armed with the legendary Monado and becoming the central figure in the conflict between the Homs and the Mechon featured in the game. Anyway, ever since players got to play Xenoblade Chronicles, Shulk became one of the most highly request characters for Smash Bros. Plus, in addition to wanting Shulk as the main character, there was one song in particular amongst Xenoblade’s entire awesome soundtrack that people wanted included in the game. Almost every time Xenoblade is brought up, “You Will Know Our Names” is the accompanying musical track. This song plays during a phase of the final battle as well as in fights against some powerful enemies in the latter part of the game. Other great contenders would be Mechanical Rhythm or Engage the Enemy. I finally got my chance to play the awesome game that Xenoblade Chronicles last year: it was just sitting there in the Wii section. Yeah, it was a bit overpriced for a used game but I freakin' don't care! Worth every penny! Remember how I stated that the Wii Fit Trainer’s demonstrated that anybody in Nintendo’s long history would be fair game as a playable character in Smash? Well, Duck Hunt is a prime example of that phenomenon in action. 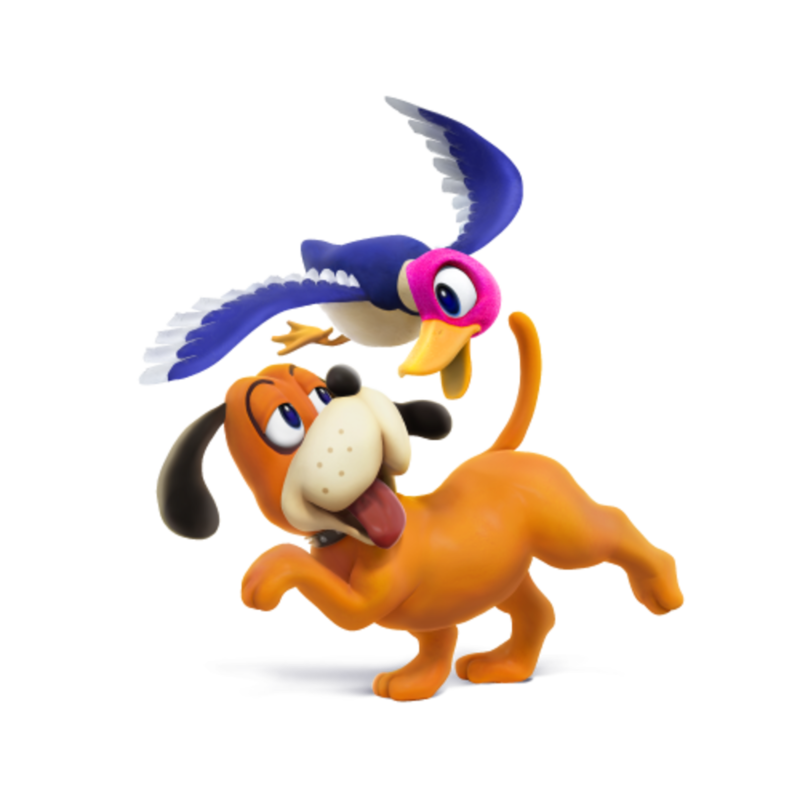 Now, I’m sure that a lot of people who played Duck Hunt were annoyed by the dog’s tendency to laugh at them whenever they missed the ducks. And then the internet, being the internet, blew that annoyance up into full blown hatred, because the internet tends to do stuff like that. And then, the Duck Hunt team (with dog, duck, and zapper) was revealed to be a character in Smash and overnight, one of the most hated video game characters on the internet became one of the most beloved video game characters on the internet, because the internet tends to do stuff like that. Or maybe people are just relishing the fact that they can finally “FALCON PUNCH!! !” the annoying canine. Speaking of which, did Duck Hunt even have a soundtrack? Yes it did but not much of one. The main theme is used for the team’s victory scene but there really isn’t a full blown track available. So in the meantime, people will have to just enjoy this medley of the track from Smash itself. There are some many spectacular songs within the franchise throughout Sonic’s extensive career, even during the franchise’s darkest years. But like I said, “Green Hill Zone”, is the original, the first stage theme from the very first game, Sonic the Hedgehog: the equivalent of Mario’s “World 1-1” if you will. Mind you, this is the Sonic Generations classic version but still. This song works perfectly. 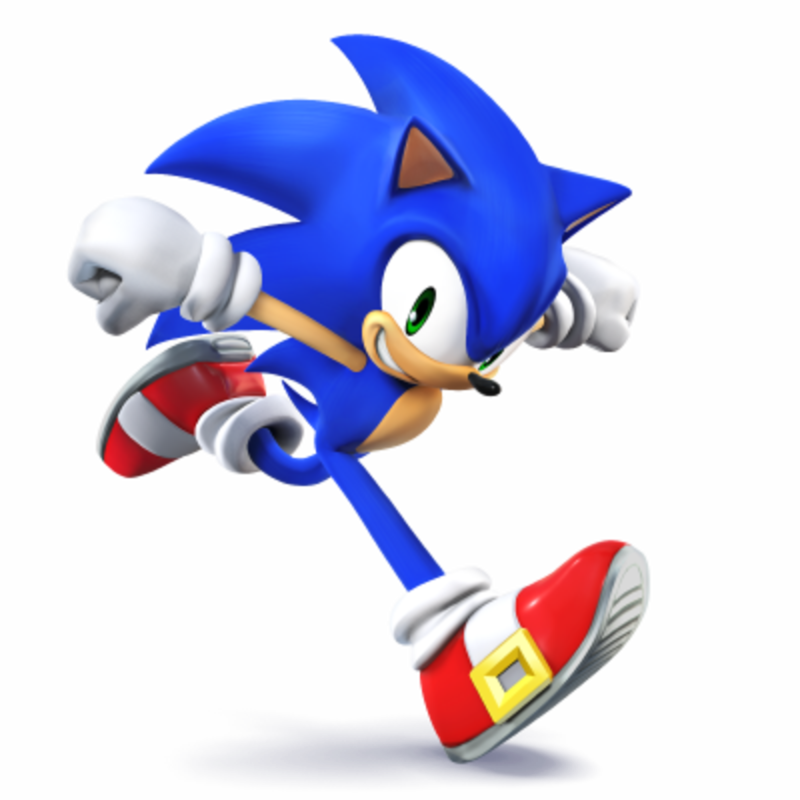 The addition of Solid Snake and Sonic the Hedgehog in Brawl meant that third party characters were now a thing in Smash, if in a limited capacity. That said, between Snake and Sonic, a lot of fans felt that one particular third party character was conspicuously absent from the roster. 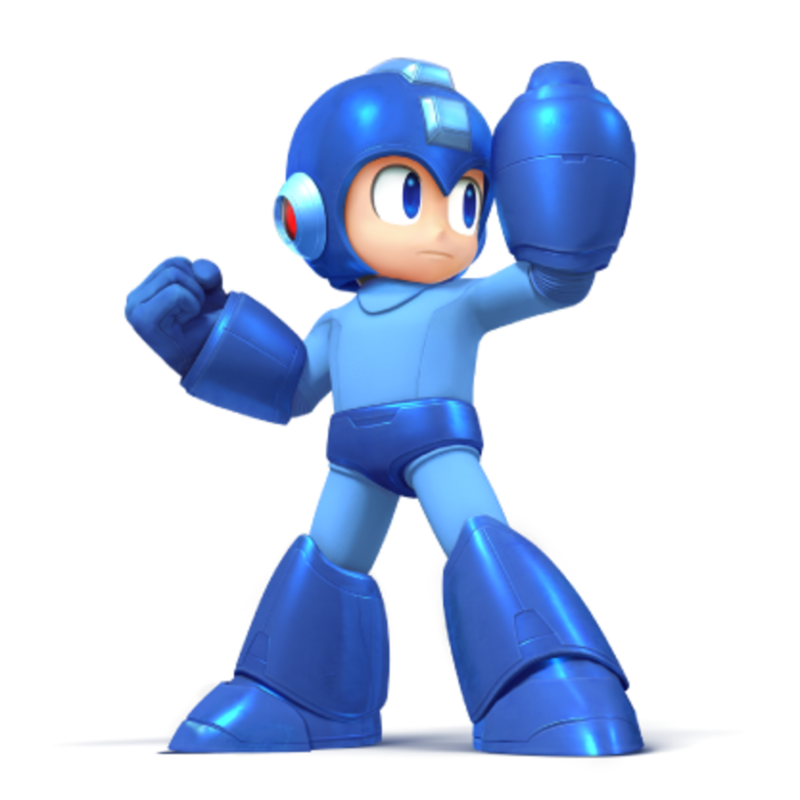 To say that there was much rejoicing when Mega Man was revealed to have been added to the Smash roster at E3 2013 is a severe understatement. Of course, it was fueled even more so by the horrendous treatment Mega Man has been receiving from his own parent company, Capcom, in recent years. Anyway, back on topic, I’ve always known that if Mega Man were ever to be added to the roster, than I wanted “Dr. Wily’s Castle Part 1” from Mega Man 2 to be the theme to represent him. I know I’m not the only one who thinks this—it’s one of the most popular 8-bit tunes in existence. Mind you this version is from the Mega Man 20th Anniversary Rock CD. 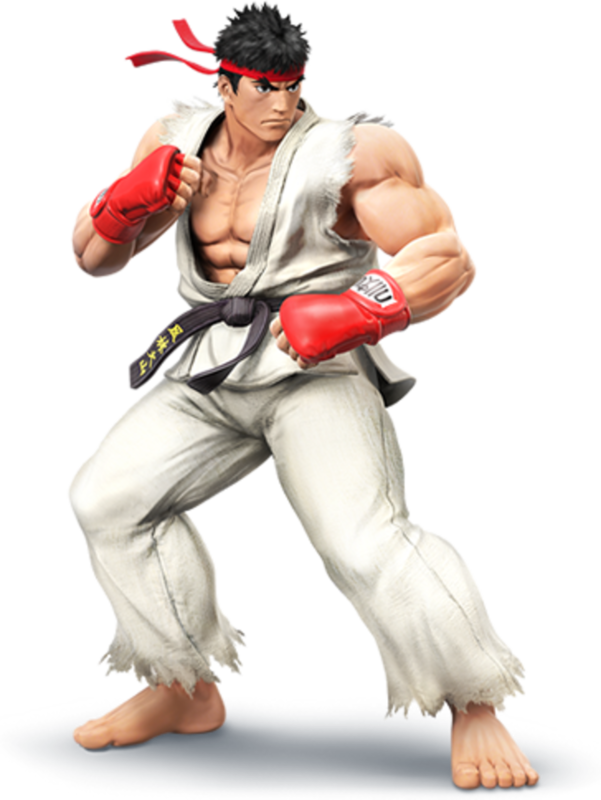 You know, I wish I could be more enthusiastic about Ryu joining the Smash roster as a DLC character than I am. Don't get me wrong: Ryu is awesome. He's the protagonist and poster boy of the Street Fighter series which revolutionized and popularized the fighting game genre–adding him to Smash makes perfect sense in that context. It's just that I don't like the idea of Capcom having two representatives in the roster, both Ryu and Mega Man. Still, Ryu is a video game icon so him being here does make sense. Well, now we can do all the classic hadoukens, shouryukens, and tatsumaki-senpukyakus in Smash with a mere B, up B, and side B. Or you can still use the classic button inputs apparently. I wonder how that will affect the metagame. Spectacular. 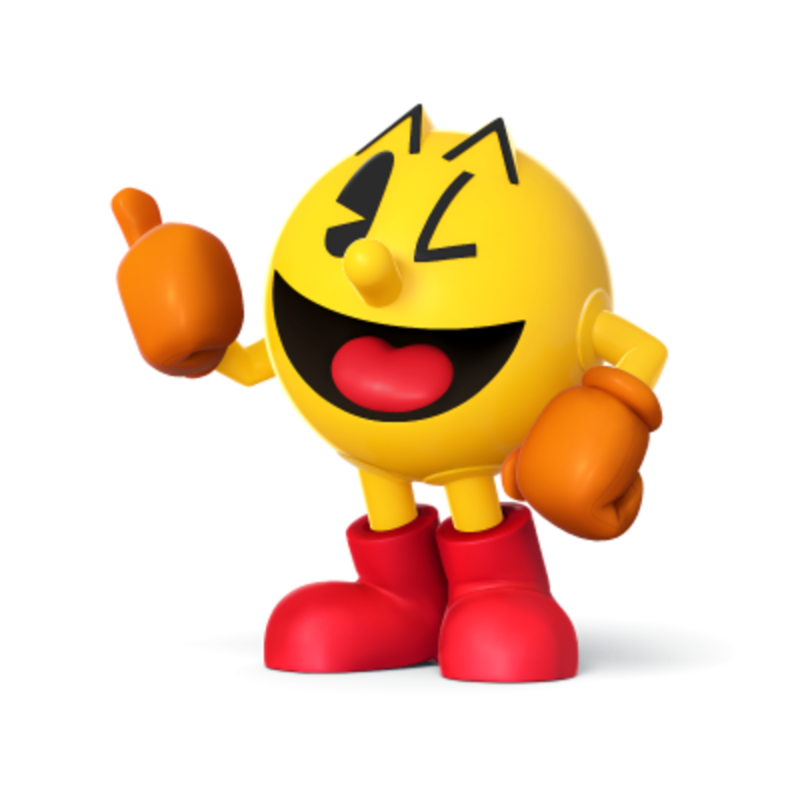 Pac-Man’s theme certainly is iconic. Holy Cow! Cloud Strife?! In Smash Bros.? You weren't kidding when you declared, "Never thought I'd see the day..." Cloud is the main character of Final Fantasy VII, the game where Square took the Final Fantasy series and jumped ship to Sony's Playstation. 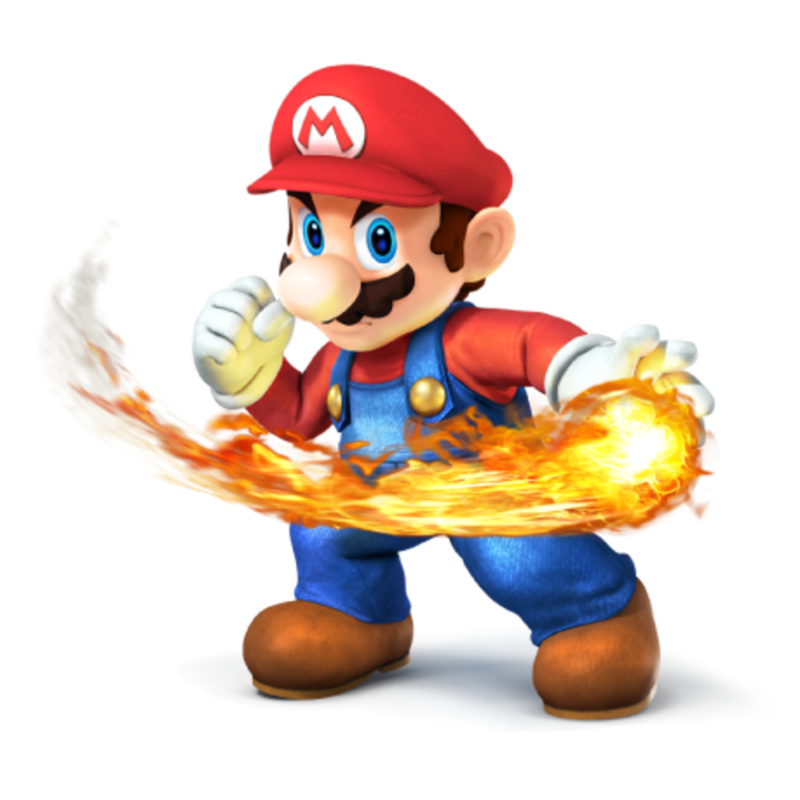 To see him this prominently featured in Nintendo's flagship game Super Smash Bros. is absolutely astounding. Heck, considering that one of the rules for inclusion in Smash is that the character had to be featured in a game on Nintendo platforms, Cloud only barely qualifies having a cameo in Kingdom Hearts: Chain of Memories (on Gameboy Advance) as well as being featured in Theatrhythm Final Fantasy and Final Fantasy Explorers (both for 3DS). 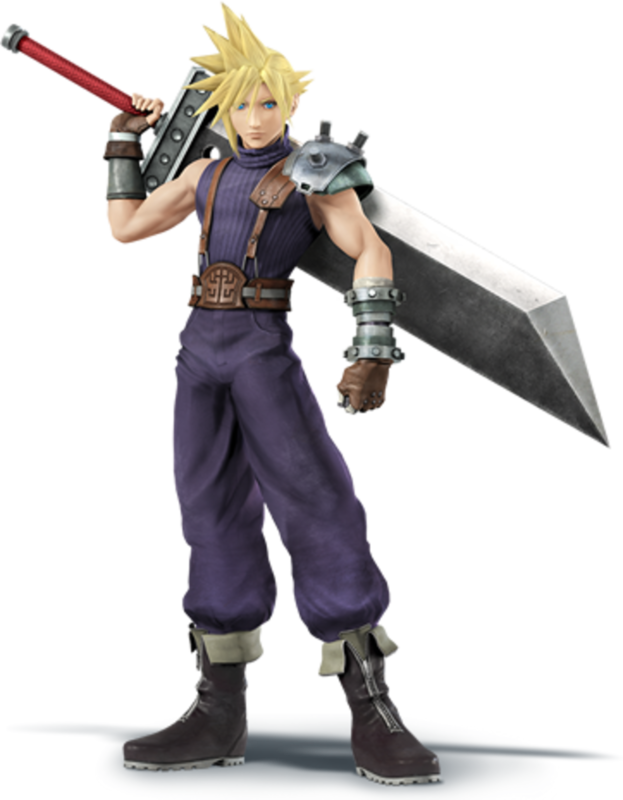 Regardless, Cloud's placement in Smash Bros. rather than say Playstation Allstars Battle Royale is amazing. Its a shame One Winged Angel wasn't included with the DLC but then again Cloud is the DLC here, not Sephiroth. Anyway, Cloud being added to roster means that each of the Big 4 Japanese third party publishers (Sega, Capcom, Namco, and Square Enix) all have representation in Smash Bros. Talk about how far things have come. 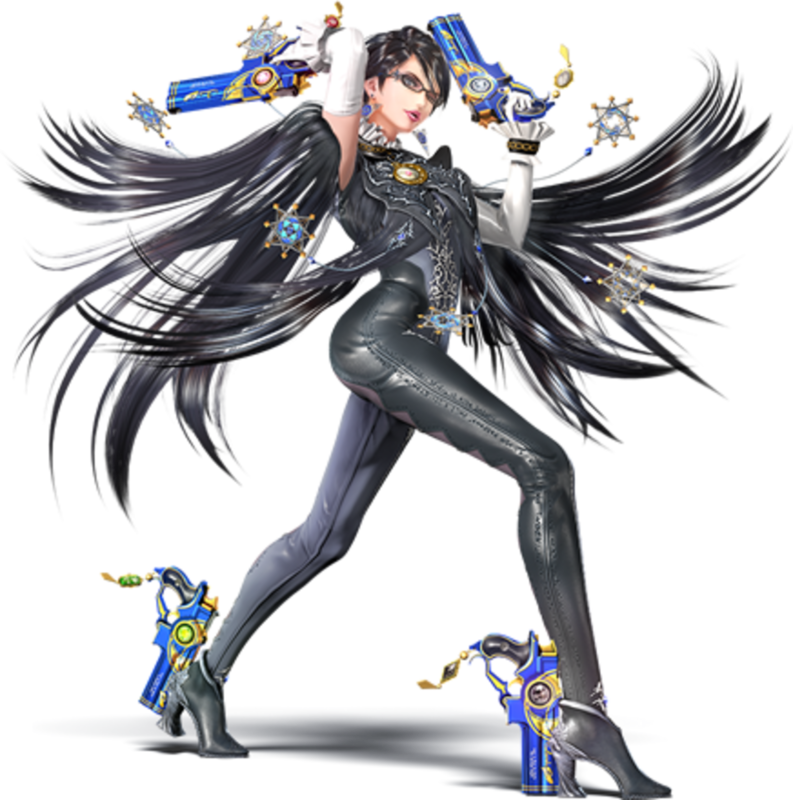 Personally, my favorite song from the Bayonetta series is You May Call Me Father. But that song doesn't really fit into what Smash Bros. has going for it. So, I'd say that the main theme of Bayonetta 2, "Tomorrow is Mine" works best in the context. Well, that’s all characters and all theme songs. Like I said, the vast majority of these songs are already in the game proper (at least the Wii U) version. But honestly, don’t just take my word for it. Just play the game. 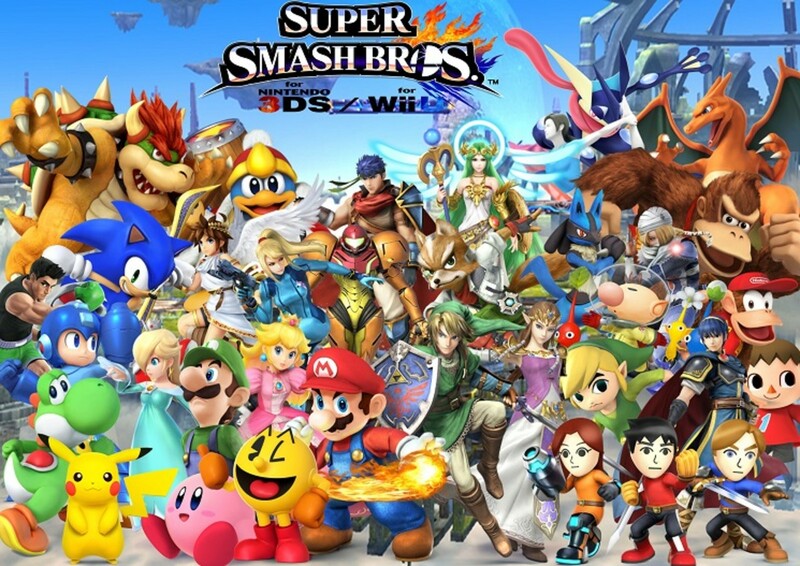 Super Smash Bros. for 3DS and Wii U is now available. Perhaps, its already under your Christmas tree.